Standing grandly at the west end of the town’s harbour, Pafos (Paphos) Castle (Medieval Fort) was originally a Byzantine fort built to protect the harbour, and was rebuilt by the Lusignans in the 13th century, but then dismantled by the Venetians. 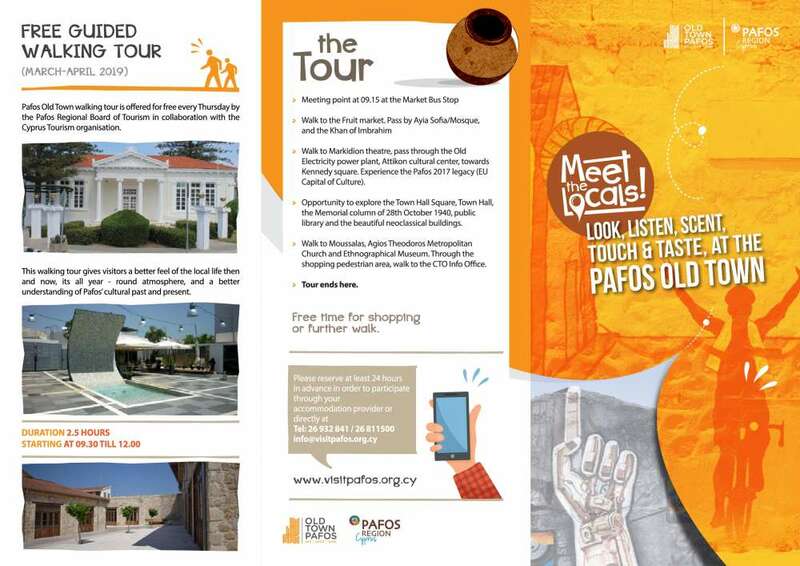 A new app using augmented reality technology will be launched in six months and enable visitors to use their mobile phones to find out about Paphos hotspots of interest, according to Paphos Municipality. Beautiful and picturesque Paphos as the new cosmopolitan region in Cyprus is once again becoming the attraction for the majority of the European and Non-European buyers and entrepreneurs. The historic town of Paphos and the entire natural province is the safest and most secure area on the Island, for the whole family. 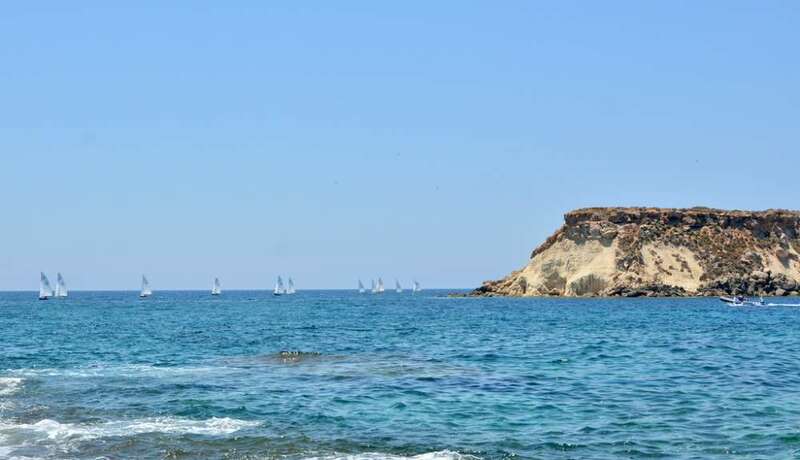 Paphos and Limassol have been ranked seventh and ninth best value for money European beach resorts for UK travellers according to a British Post Office survey of 20 European destinations. 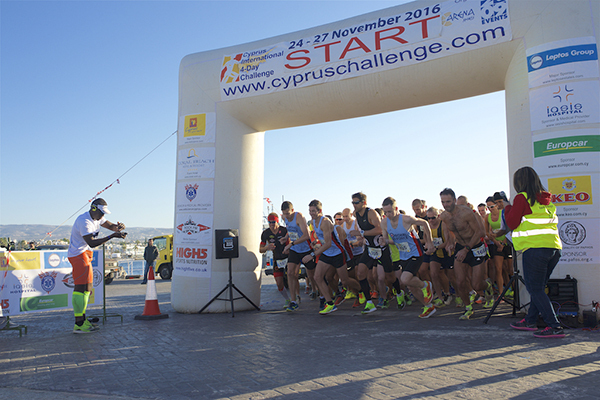 A total of 3,500 runners will participate in the 21st Logicom Cyprus Marathon that will take place in Paphos on Sunday. Asprokremmos dam stole the spotlight in the past days as it overflew for the first time since 2012. A few days ago the “miracle” finally took place and nature lovers from all over Cyprus rushed to the area to see the overflowing dam with their own eyes and of course, capture the moment on their phones or cameras. 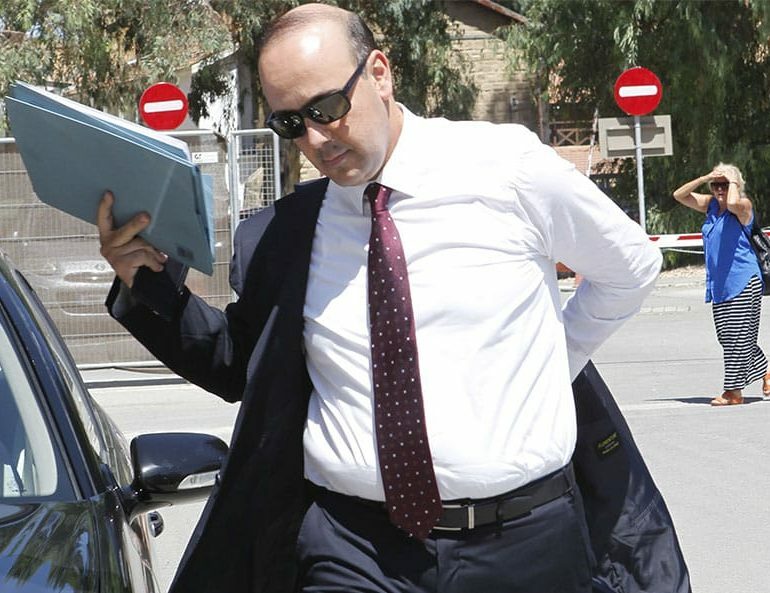 Geroskipou is to host the satellite casino of coastal Paphos following the refusal by town mayor Phaedon Phaedonos to approve the site originally selected by the private investors. It is expected to be in operation within 2019. Tala is a large suburban village 6 km north of Paphos. Many non-Cypriots (mostly British) have moved here permanently or have a summer home in Tala. Agios Neophytos Monastery is 1 km north. Paphos is once again in the lead in purchase contracts by foreign buyers (Europeans and other Non- Europeans) recorded at the Department of Land and Registry by 44.0% in comparison to Limassol which follows with 23.8%.Larnaca 3rd with 16.8% and lastly Nicosia with 9.5% and Famagusta with just 5.7%. Geroskipou is a coastal town in Cyprus, east of Paphos. It is the second largest municipality in the Paphos District. Yeroskipou. 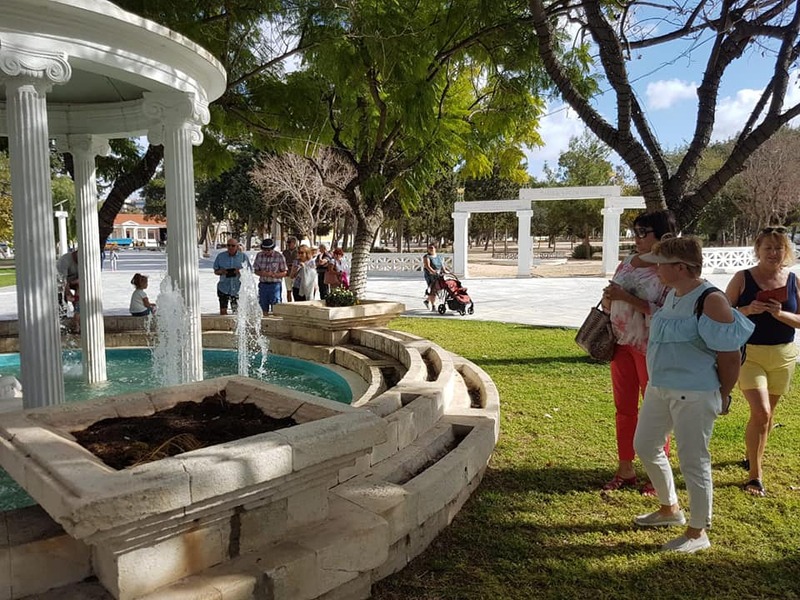 TWO new parks will be created in Paphos and are due to be completed in the coming months, according to the municipality. The first will see a proposal for a ‘park with access for all’ made by members of the public come to fruition, following a Facebook vote on the three most popular ideas which were submitted, and then chosen by a special committee. Yeronisos, or ”Holy Island”, lies off the coast of Agios Georgios Pegeias. Excavations undertaken by Joan Conelly and her team from New York University have established three major periods of activity on Yeronisos. These periods extend from the Chalcolithic ritual findings, advance to the Hellenistic sanctuary of Apollo and conclude to an Early Byzantine church. 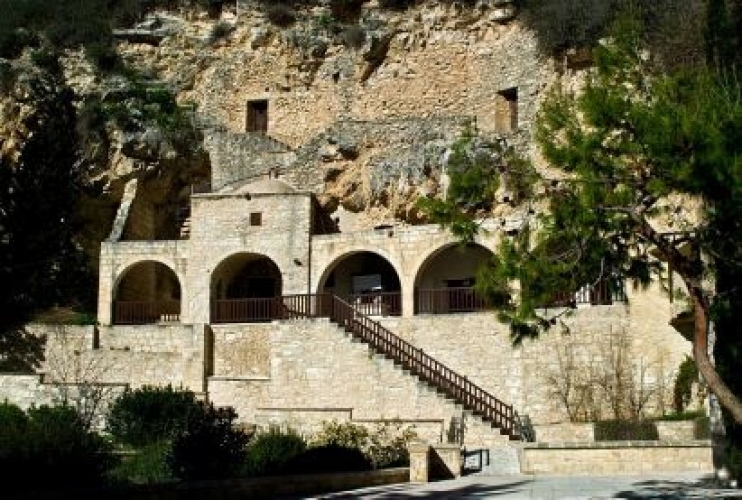 Yeronisos has long been a favouritedestination for pilgrims. A contract for a desalination plant in Paphos was signed on Thursday to ensure the area’s needs for water can be met, irrespective of rainfall levels. 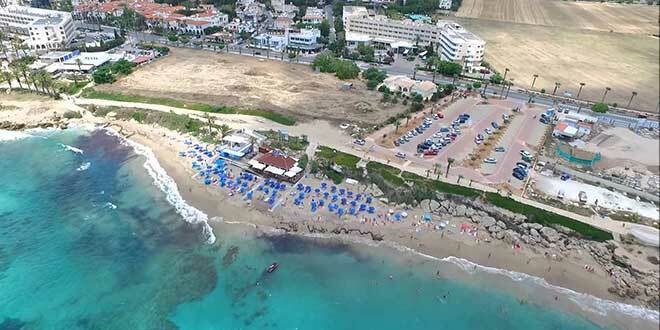 Lara Bay is a magical, clean and very quite beach in Paphos district. It is only accessible to four wheel drive vehicles but it worth a visit. 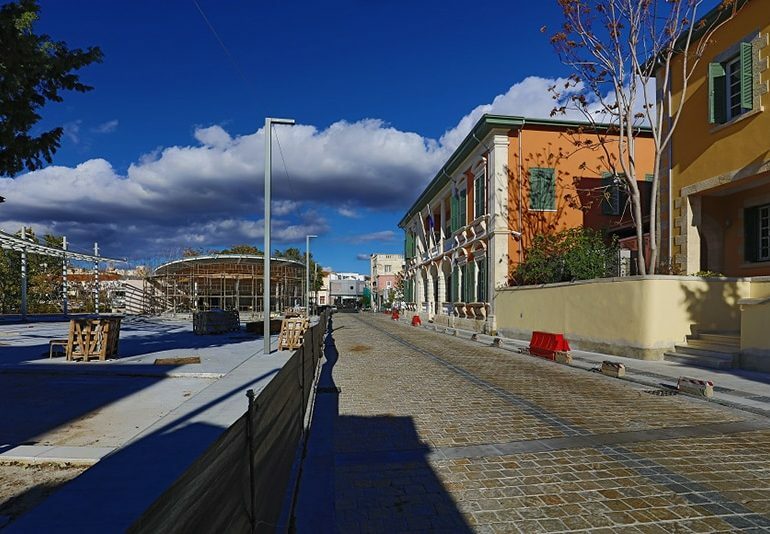 The newly revamped Attikon Hall, previously an abandoned cinema, will be inaugurated by President Nicos Anastasiades on Friday. 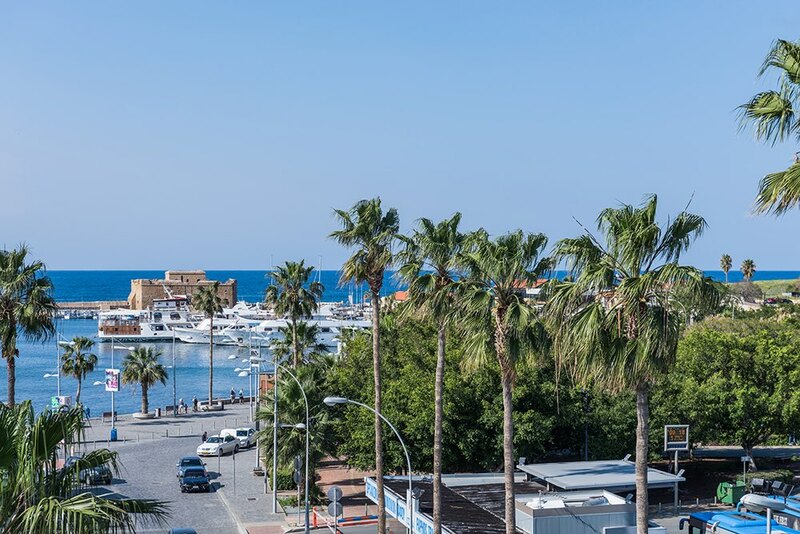 The area of Paphos, one of the most beautiful regions in the Mediterranean, has once again come out on top for attracting the majority of European and Non-European buyers and entrepreneurs. The town of Paphos and the entire picturesque province is the safest and most secure area on the Island, where one can live, work and holiday. Pomos dam in the Paphos region overflowed at dawn on Sunday. 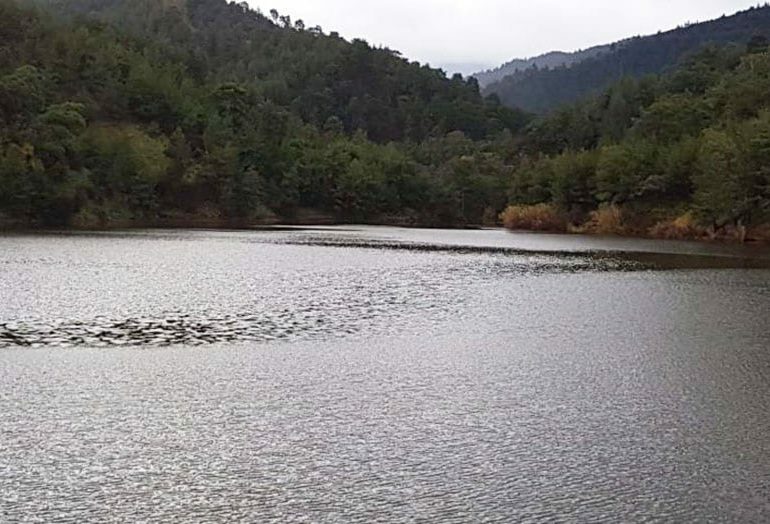 The reservoir, of 860,000 cubic metres, is the second to have burst its banks in 24 hours in Paphos, following that of Argakas on Saturday lunchtime. Paphos is the cheapest destination for Brits looking for a winter sun New Year break, new research has revealed. 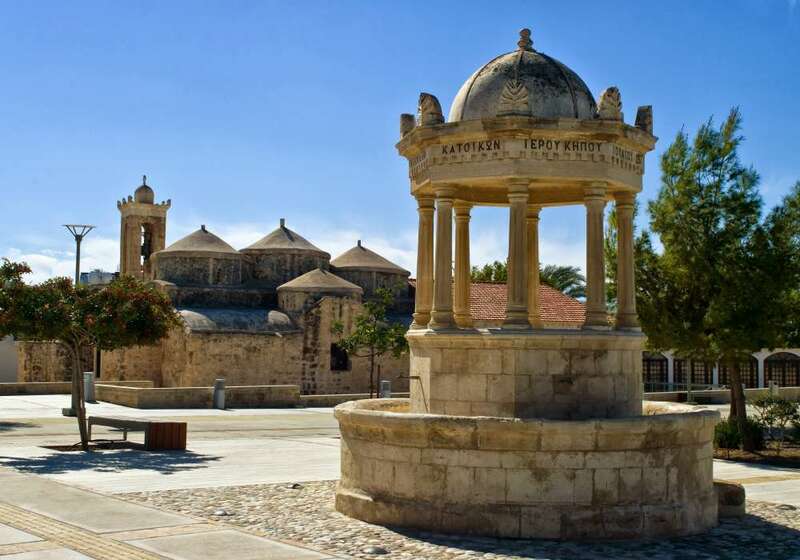 Paphos is rich in ecclesiastical monuments, first on the list being the Palaiochristian Basilica of Chrysopolitissa in Kato Paphos which still houses the column on which, according to tradition, Apostle Paul was tied and whipped. 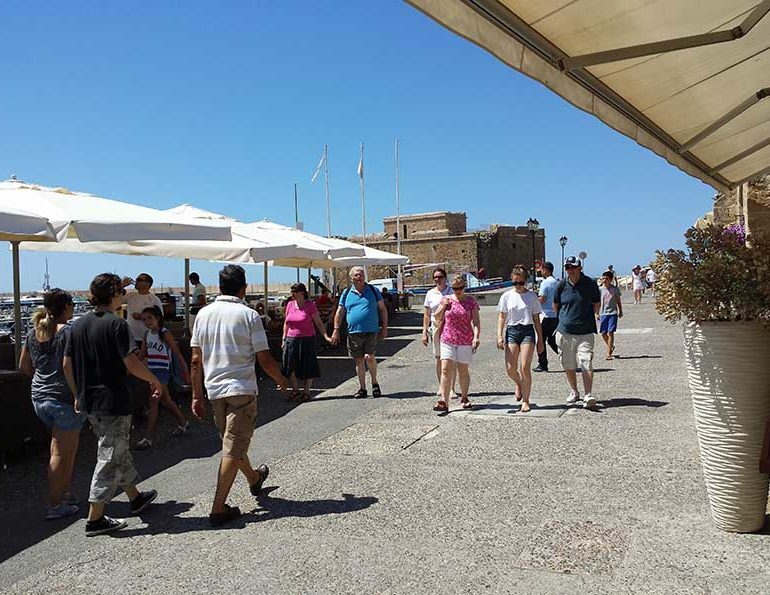 The Paphos Tourism Development and Promotion Company has launched guided walking tours in the old town of Paphos every Thursday, with dozens of visitors as well as residents participating. 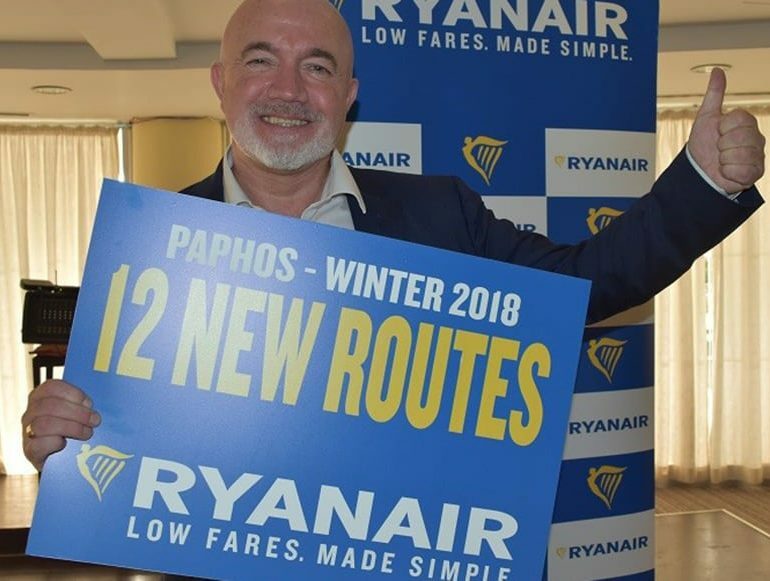 The new winter Ryanair flight schedule will provide a big boost to Paphos’ tourism, Civil Aviation officials told Phileleftheros. The area of Paphos as the most cosmopolitan and beautiful region in Cyprus is once again becoming the attraction for the majority of the European and Non-European buyers and entrepreneurs. 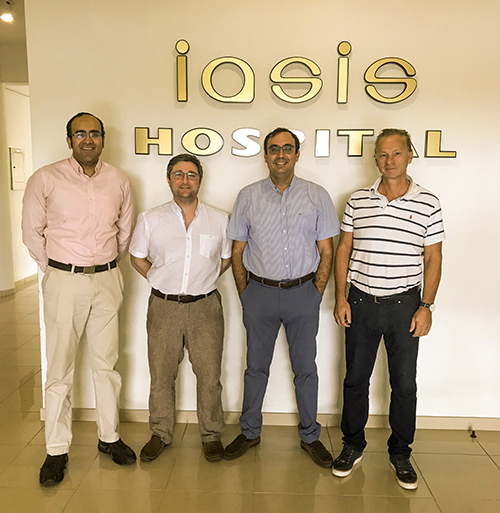 There is a need in Cyprus for patients suffering from tetraplegia following spinal cord injury and also brain injury or stroke for assessments as to how their upper limb function can improve, either through targeted physiotherapy or through reconstructive surgery. Aphrodite’s mythical birthplace ‘Petra tou Romiou’ is an interesting geological formation of huge rocks along one of the most beautiful coastlines on the island, located on the southwest coast of the Pafos (Paphos) district. 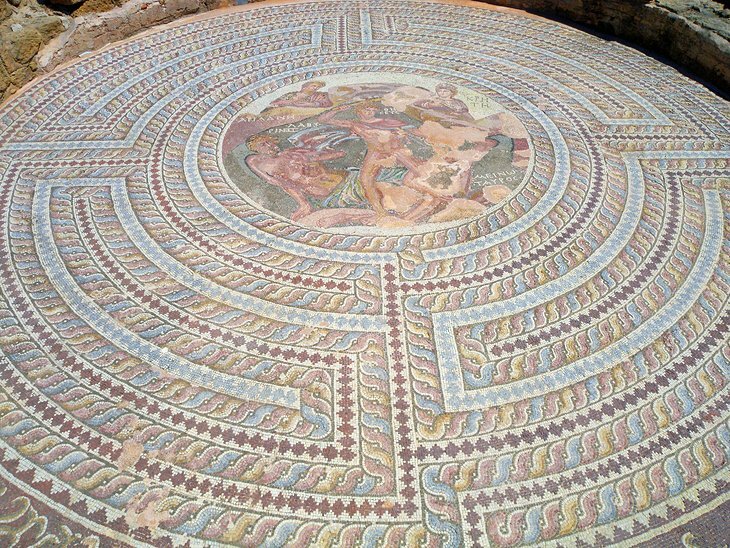 When it comes to being a destination for weddings, you don’t get much better than being the town where the goddess of love, Aphrodite was born. In addition to the beauty of the district and the wide variety of venues for nuptials, the links Paphos has with Aphrodite make it an ideal spot for the overseas wedding market. Paphos will feature in a new EU web platform promoting sustainable travel to some of the most remarkable World Heritage sites in Europe. Paphos is in the lead as the most popular district for overseas buyers from Europe and Non-Europeans for the period January- September 2018 by 39.2% in comparison to Limassol which follows with 29.8%. Larnaca is 3rd with 15.9% and lastly Famagusta with 9.8% and Nicosia with just 5.3%. 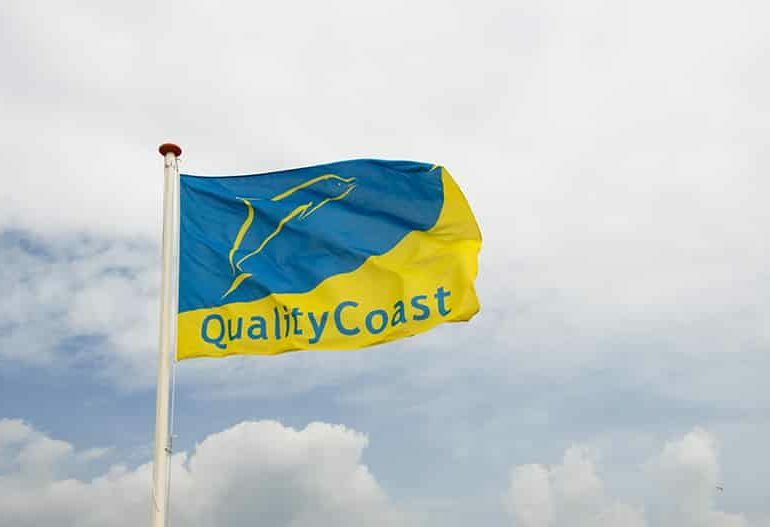 A coast that ranks amongst the loveliest of the region. Located in the Pafos (Paphos) region in Pegeia – a thriving tourist resort – the 500-metre long, Coral Bay Beach is considered to be one of the loveliest coasts of the area. 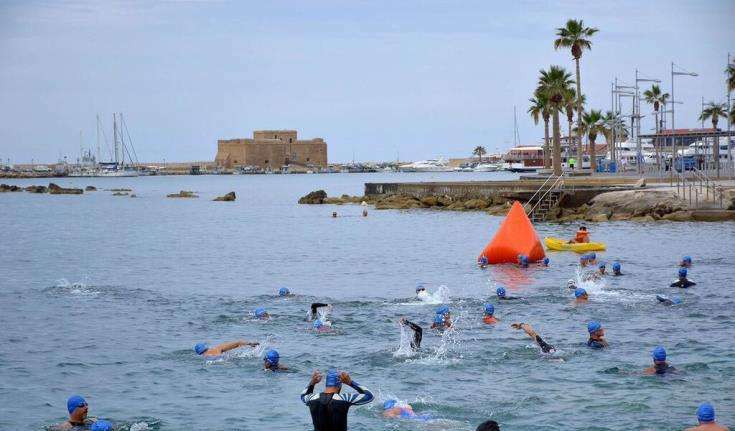 Paphos won the “Quality Coast” Gold Prize for being a sustainable coastal tourist destination for 2018. 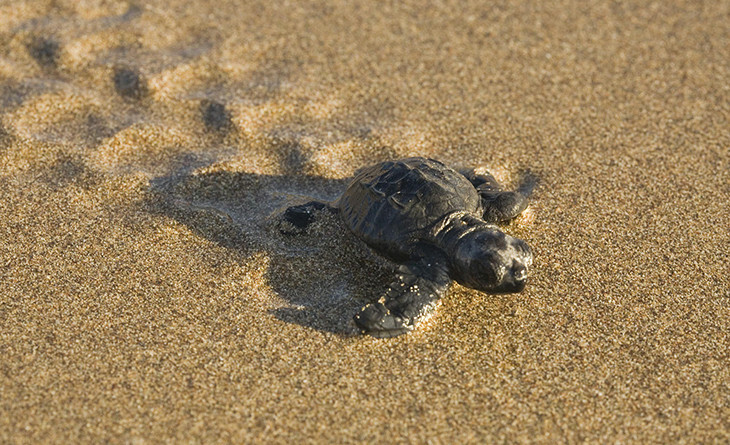 The entire coastline of Paphos has been recognised for the third consecutive year as attractive for visitors interested in combining holidays and nature in a destination with enchanting scenery that cares for and preserves the quality of the environment and strives to protect and enhance local identity and cultural heritage. Paphos is in the lead as the most popular district for overseas buyers from Europe and Non-Europeans by 39% in comparison to Limassol which follows with 30%. Larnaca is 3rd with 15,5% and lastly Famagusta with 10% and Nicosia with just 5.5%. The Engleistra and the Monastery of Agios Neophytos are situated near the village of Tala, about 10 kilometres north of Nea Paphos. The Engleistra was initially a natural cave on the eastern side of a hill’s slope. In front of the hill lies a deep gorge, at the end of which flows a torrent. Inside the Engleistra, Saint Neophytos led a hermit’s life. Paphos is in the lead as the most popular district for overseas buyers from Europe and Non-Europeans by 39% in comparison to Limassol which follows with 30%. Larnaca is 3rd with 15% and lastly Famagusta with 10.5 % and Nicosia with just 5.5%. 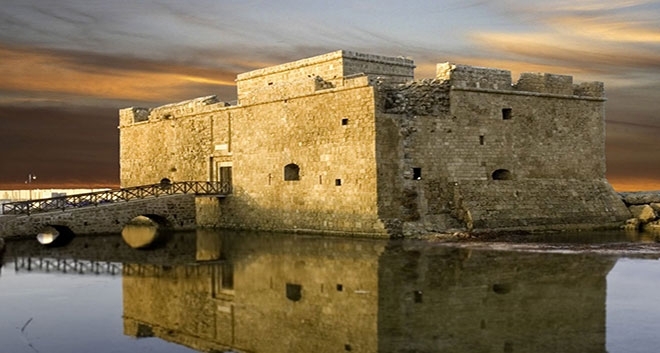 The Archaeological Park of Kato Pafos (Paphos) is one of the most important archaeological sites of Cyprus and has been included in the UNESCO World Heritage Sites list since 1980. 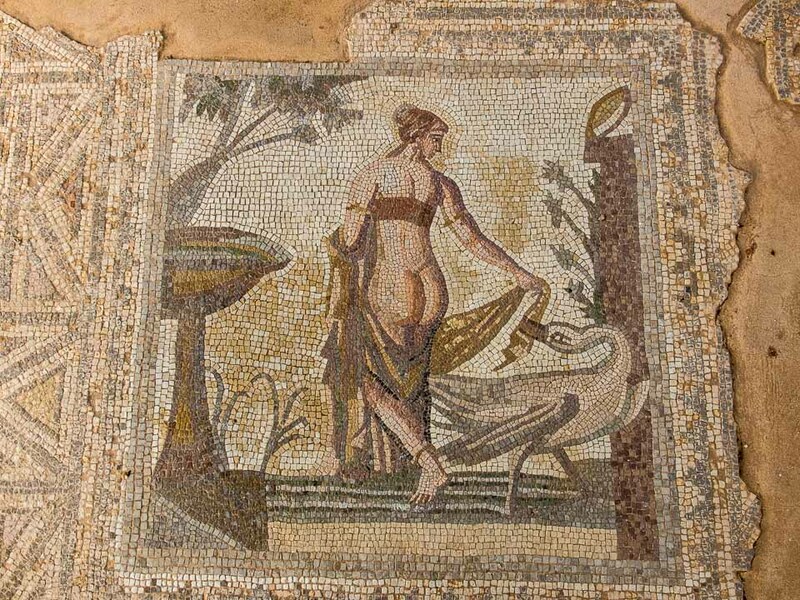 Located in the Pafos (Paphos) resort of Polis Chrysochous, the Local Archaeological Museum of Marion-Arsinoe consists of an interesting collection of antiquities discovered in the region where the ancient city-kingdom of Marion-Arsinoe once stood. 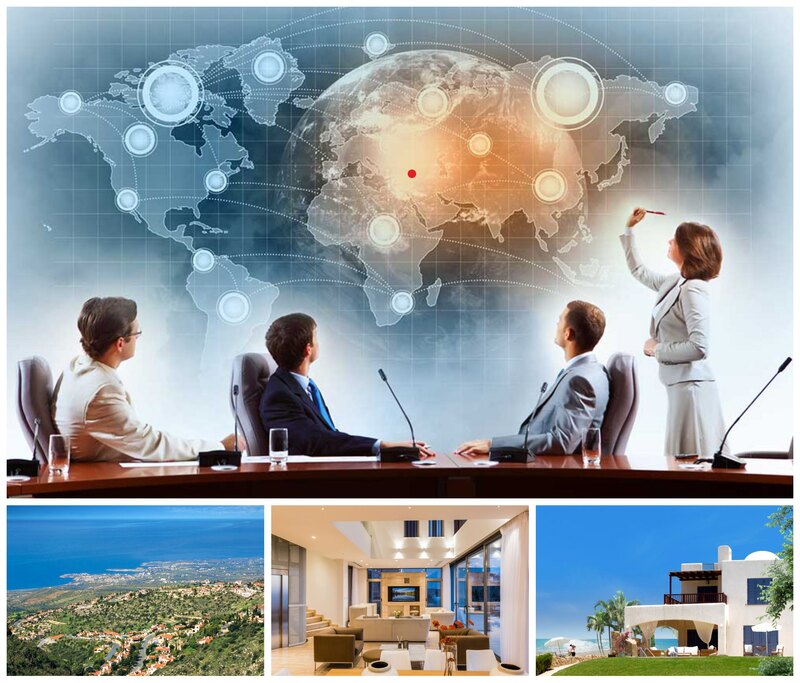 The province of Paphos is the ideal place for someone to transfer or establish his place of business or through which to manage international business activities. 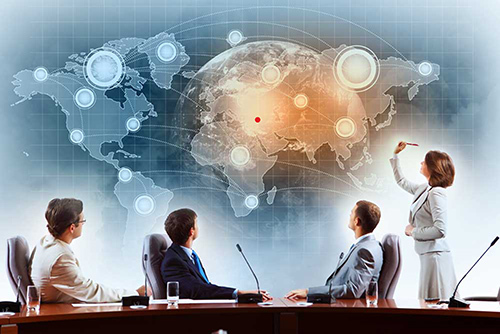 The region offers a welcoming environment and the suitable infrastructure in which a modern business can operate. 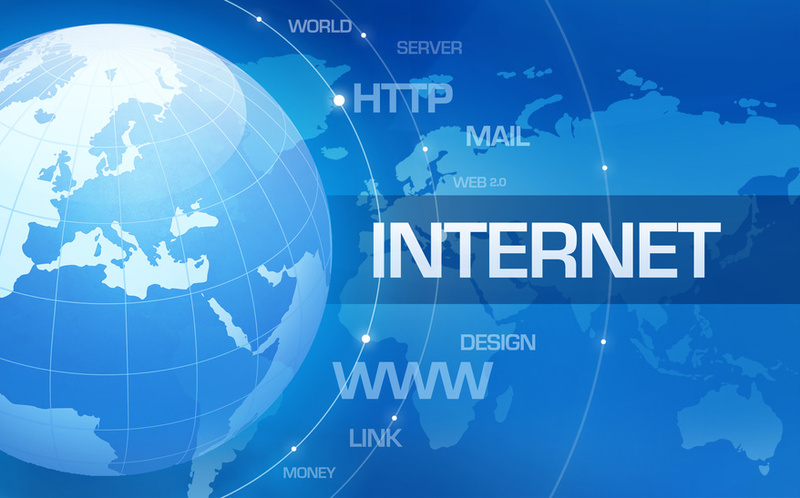 In Pafos there are available modern office spaces and trained staff of high education. The House of Dionysos The mosaic decorations and the mythological compositions are the main characteristics of this restored Roman villa, dating back to the second century A.D. 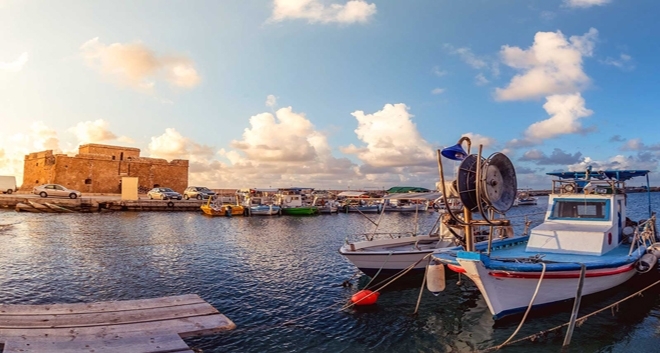 The Paphos regional board of tourism has launched a new comprehensive website as part of a wider campaign utilising technology and upgraded literature to help to promote the entire district. 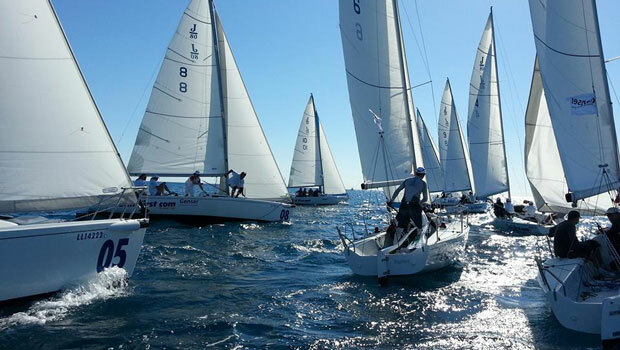 Paphos is stepping up efforts to promote sports tourism as it seeks to attract more visitors particularly in the low season between November and April. 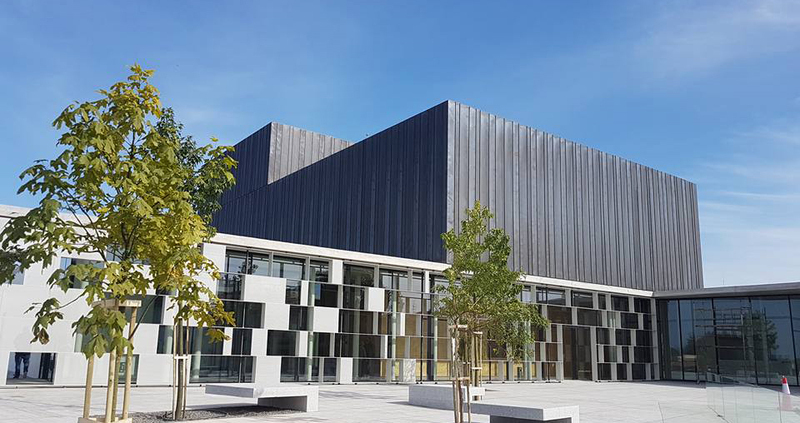 The Library of Neapolis University in Cyprus consists an integral part of the academic community. It offers its various services not only to the members of this community, but also to the local society in general. Its collections, which are constantly being enriched, cover various topics (with emphasis on issues of law, psychology, business, management, architecture, theology, history and culture). – Manidjin Isle Between Lara and Paphos and opposite the fishing harbour of St. George, lies Yeronisos Island, better known to divers as Manidjin Isle. 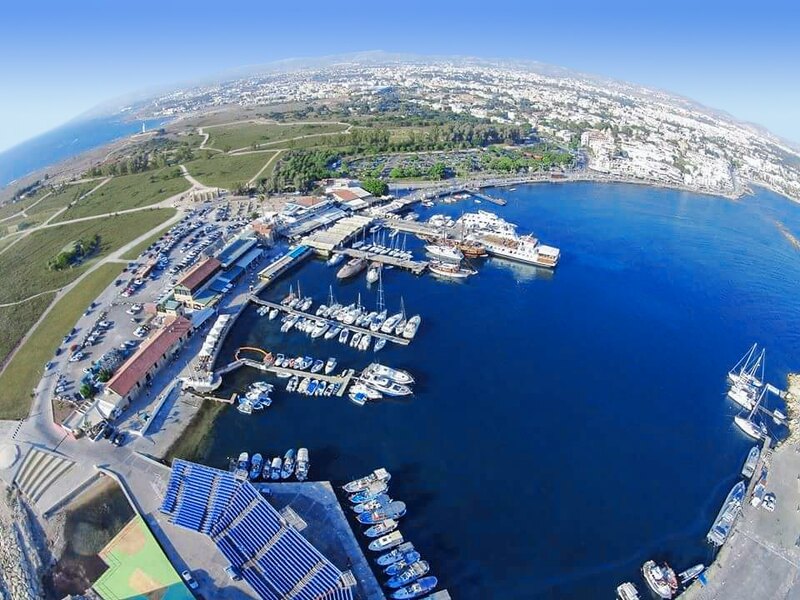 AFTER nearly three decades of bureaucratic delays and legal wrangles, the contract to build the Paphos marina has finally been agreed on by the ‘new’ Marina Management Committee. Paphos Airport claims Accessibility award! ACI’s 14th General Assembly Congress and Exhibition, held in Belgium between 18 and 20 June, gave out a number of awards to recognise excellence in airports among its members. Paphos is in the the lead as the most popular district for overseas buyers from Europe and Non-Europeans by 40.2% in comparison to Limassol which follows with 29.6%. Larnaca is 3rd with 14.2% and lastly Famagusta with 10.7 % and Nicosia with just 5.3%. 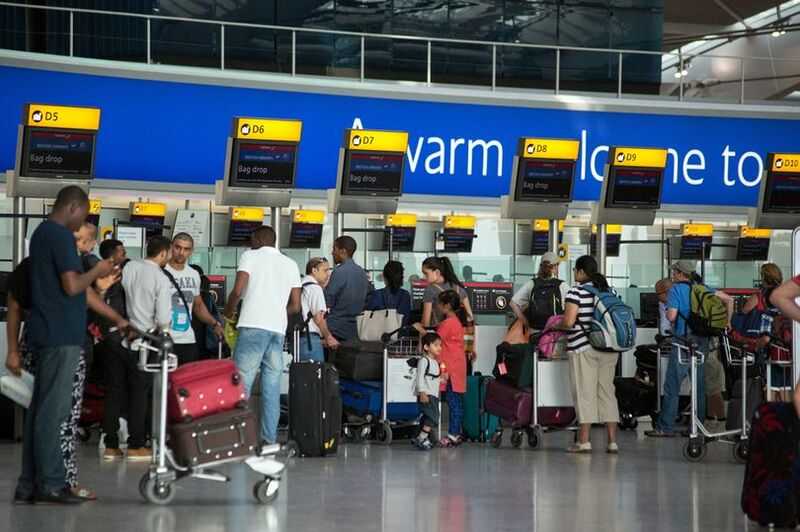 The Paphos Board of tourism announced 220 scheduled flights a week from 50 towns for this summer including amongst others flights from London, Berlin, Dublin, Vienna, Amman, Moscow, Tel Aviv, Glasgow, Zurich and Rome. 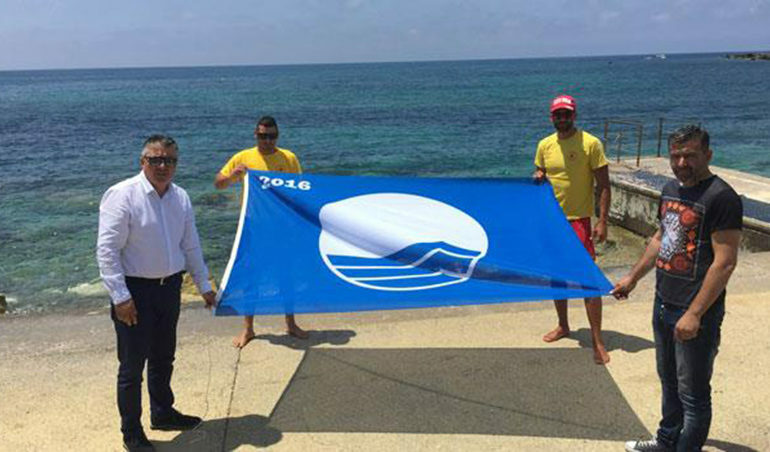 Water quality at Paphos beaches is excellent, according to the Cyprus Tourism Organisation (CTO) and Cymepa, with the area this week set to receive 16 Blue Flags. 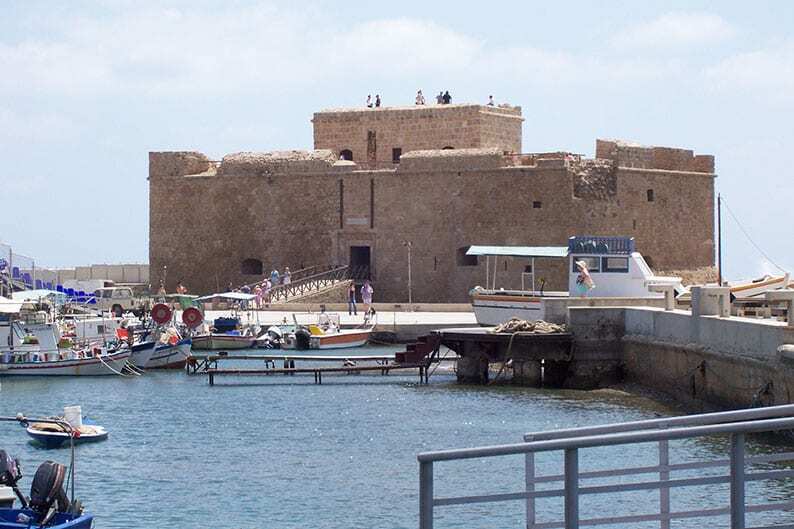 Travel agents from the Baltic states of Lithuania, Latvia and Estonia have expressed great interest in Paphos, the town’s tourism board said on Tuesday. 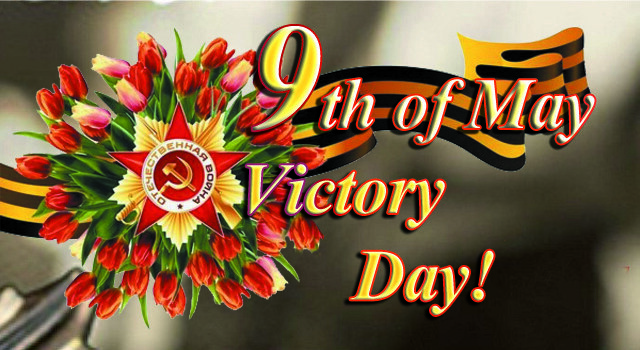 A concert dedicated to the 70th anniversary of the Victory in the Second World War took place on the Wednesday 9th of May in Paphos. A bustling beach in the heart of Pafos (Paphos). Located in the heart of the tourist area of Kato Pafos – off of the main road of Poseidonos Avenue – the 100-metre long Municipal Baths Beach combines chic wooden decking with sandy sections, as well as access to some of the area’s biggest attractions. 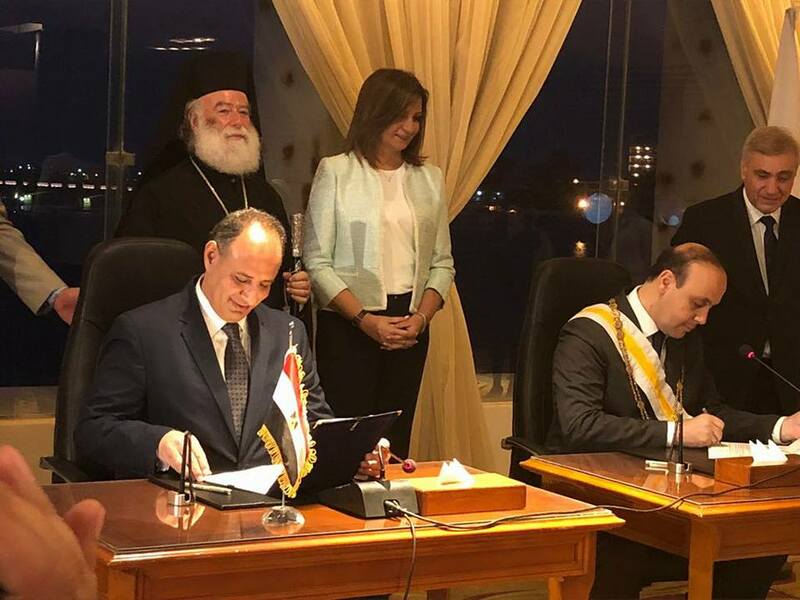 Paphos and Alexandria have signed a twining protocol during a ceremony in the Egyptian city. The official ceremony took place at the Governorate of Alexandria where Paphos Mayor Phedonas Phedonos and the city’s governor, Mohamed Sultan signed the protocol, in the presence of the island’s ambassador to the country, Haris Moritsi, Greek Orthodox Patriarch of Alexandria and All Africa Theodore II, representatives from the Cypriot and Greek brotherhood and other officials. 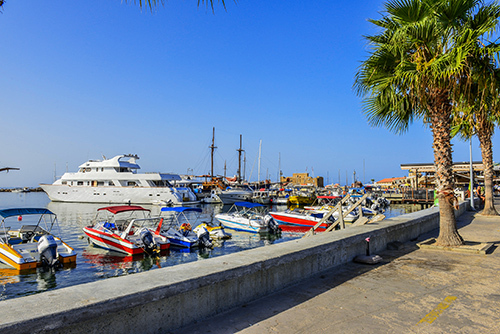 Paphos has been modernized and upgraded, reforming its urban identity and image to become a competitive destination and an attractive place for foreign investors. 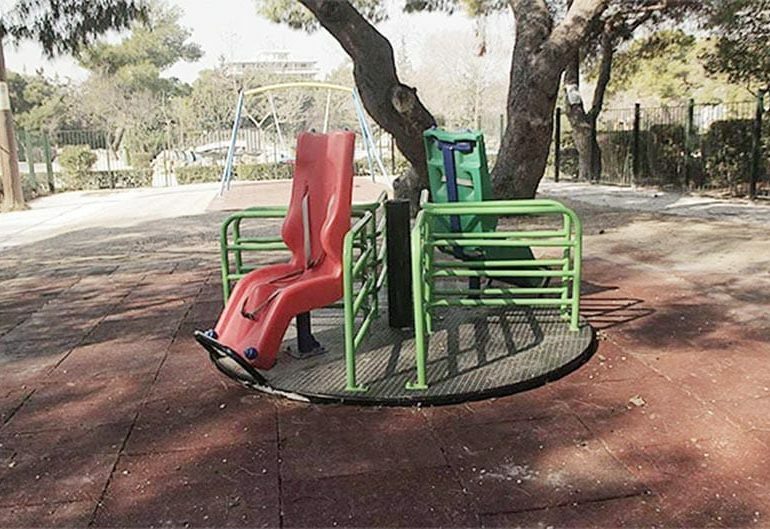 O Όμιλος Εταιρειών Λεπτός μετά τη δυναμική στήριξη της Πολιτιστικής Πρωτεύουσας Πάφος 2017, δεν σταματά εδώ αλλά συνεχίζει να ενισχύει και να προωθεί όπως έκανε διαχρονικά, την τέχνη και τον πολιτισμό όπως επίσης και τη συνεργασία των τοπικών αρχών της Πάφου με πόλεις του εξωτερικού. Paphos is once again in the lead in purchase contracts by foreign buyers recorded at the Department of Land and Registry by 40.3% in comparison to Limassol which follows with 29.7%.Larnaca 3rd with 14.3% and lastly Famagusta with 11.4% and Nicosia with just 4.3%. Ryanair announced 12 new routes from Paphos for winter 2018 on Tuesday, increasing its capacity by 74 per cent over last year. 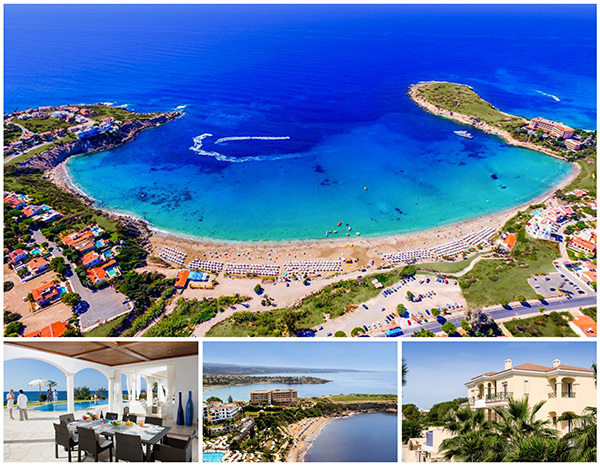 Paphos International Airport located just 6 Km from the city of Paphos, adjacent to the coast provides access to popular Sea Resorts such as Kato Paphos, Coral Bay, Latchi, Pissouri and Limassol and the Mountain Resorts of Platres and Troodos. The existing high-level infrastructure meets the demands of the most intensive, professional training programmes. 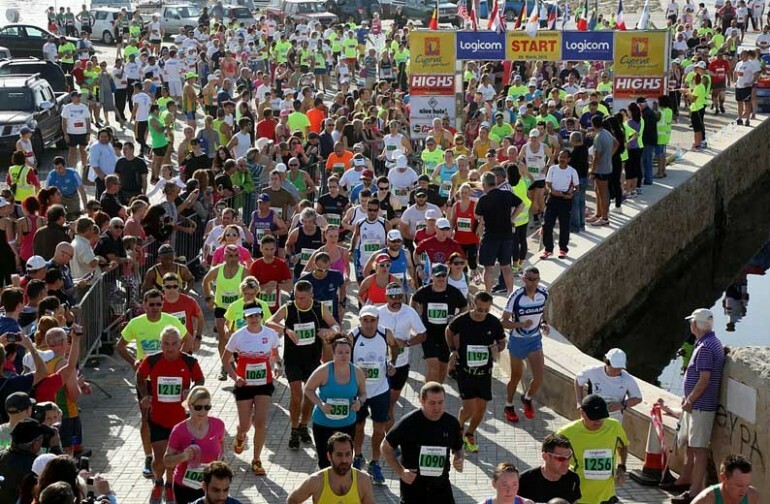 The Logicom Cyprus Marathon is fast approaching, and this year it will be celebrating its 20th Anniversary in Paphos. Logicom Public Ltd will once again be the official sponsor of this colorful running event on Sunday 4th March 2018. 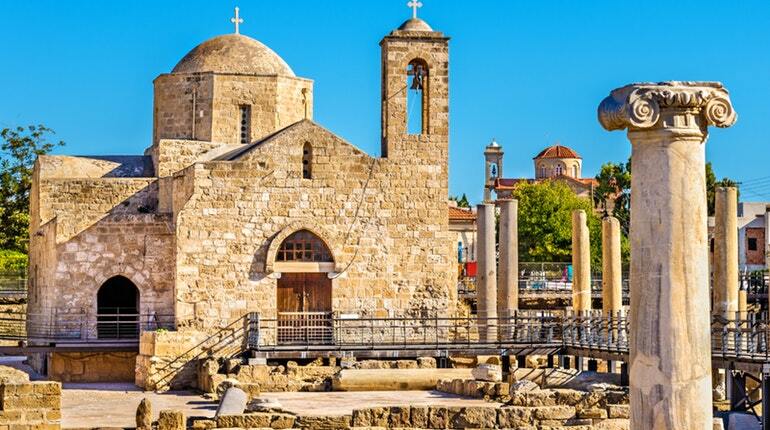 A delegation from Paphos municipality will leave for Israel on Sunday to participate in a new technologies expo and the town’s mayor will also attend a high-level meeting. 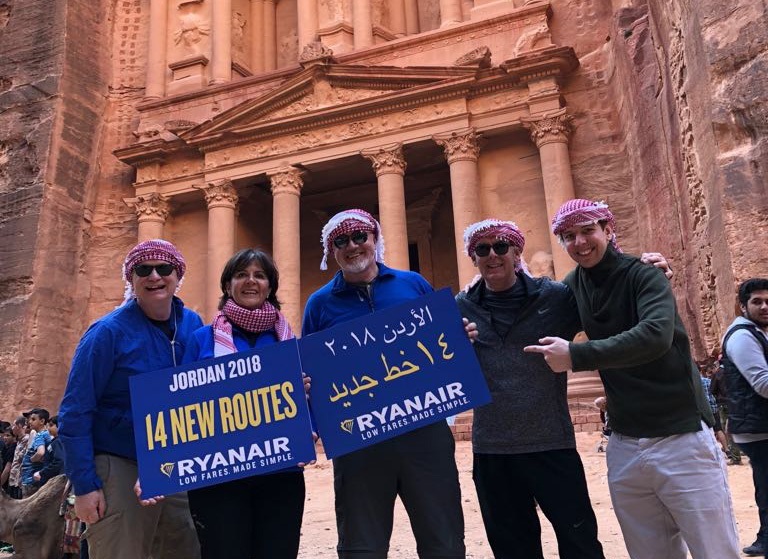 Ryanair, Europe’s favourite airline, today (4 Feb) launched its first flights to Jordan with 14 routes in total to Amman and Aqaba airports, which will deliver almost 500,000 customers p.a., as Ryanair expands its operation in the Middle East. At a recent press conference, the Neapolis University in Cyprus and the University of Hull, United Kingdom announced their establishing of joint professional relations. 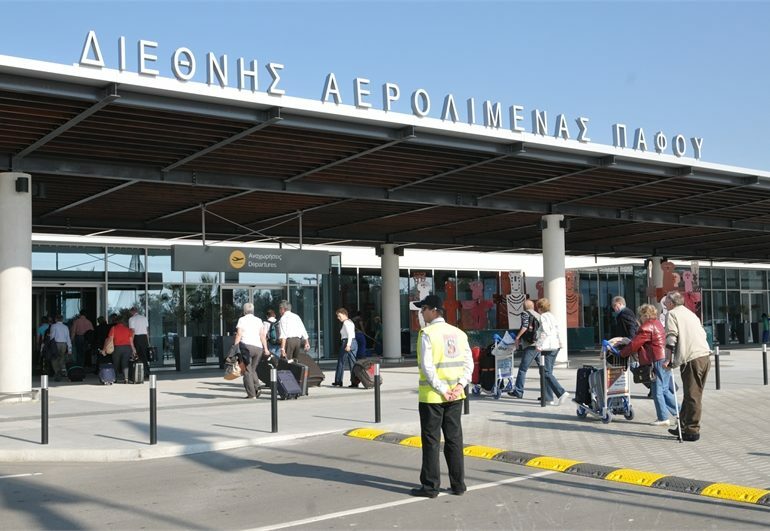 An increased number of flights to and from Paphos international airport is expected in 2018, according to the Chairman of Paphos Chamber of Commerce and Industry Andreas Demetriades. 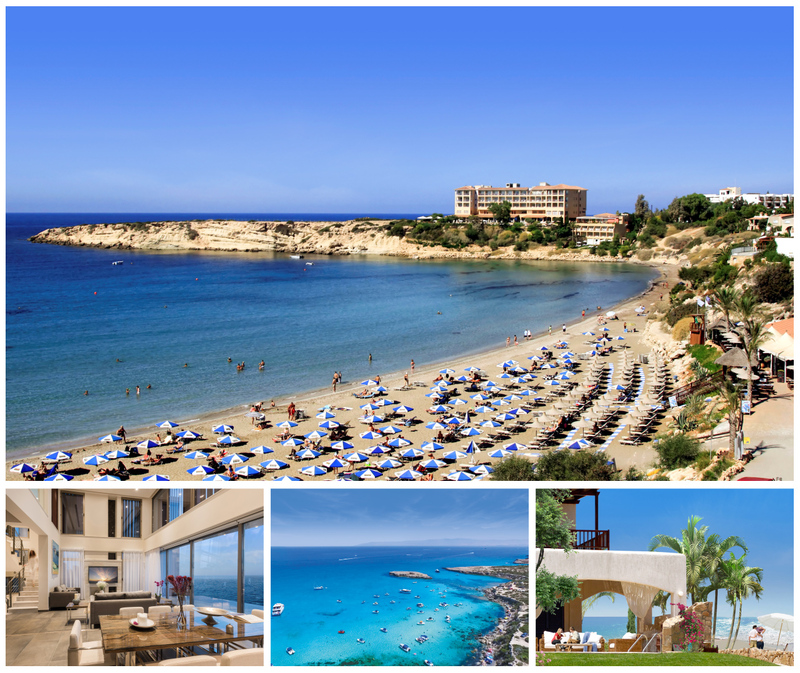 UK holidaymakers will find that Cyprus continues to offer one of the best value for money breaks during 2018 according to the 10th annual Worldwide Holiday Costs Barometer from Post Office Travel Money. Paphos had the lead in purchase contacts to foreign buyers in 2017 by 36% in comparison to Limassol which follows by 33,5 % . Larnaca is third with 16 % and lastly Famagusta with 7,5 % and Nicosia with just 7%. 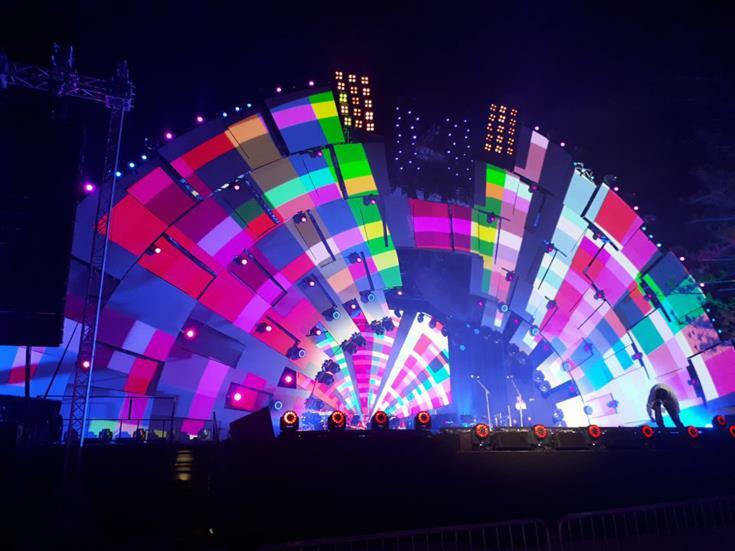 Music, images, projections, mapping, and lighting, added to the emotional closing ceremony of the Paphos 2017 Cultural Capital, on December 30, 2017, at the same place it kicked off in January of the same year in a central square of this western coastal town. 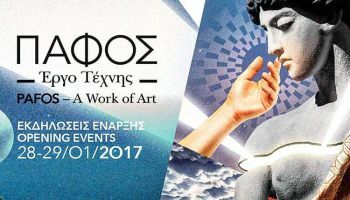 The European Capital of Culture Pafos2017 will take a bow on December 30, after a year of wowing the whole of Europe with its line-up of cultural events. 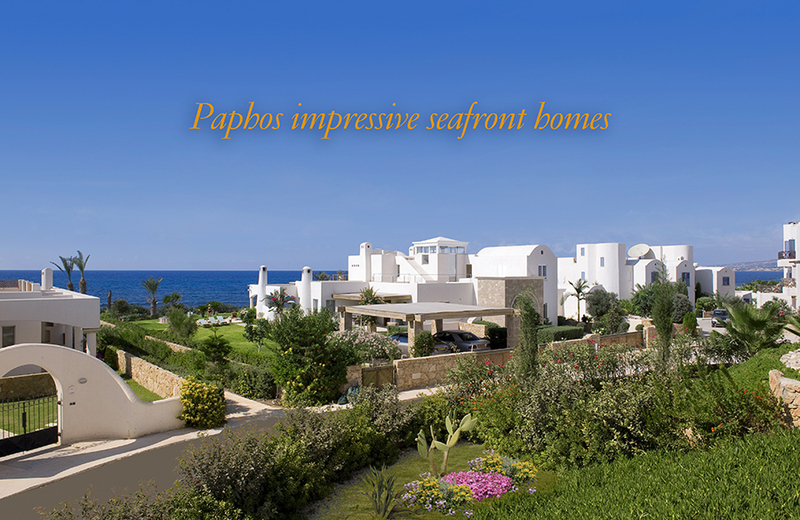 Paphos has become the new attraction for Russian buyers and entrepreneurs to buy both luxury homes and investments. Russians now choose Paphos as the ideal place for their residence, which they see as their Mediterranean paradise. 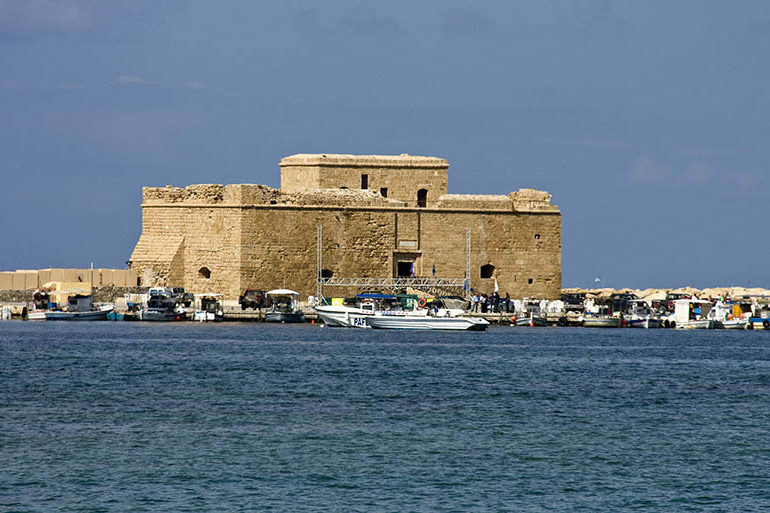 The town of Paphos and the entire province is the safest, secure area on the island where one can live, work or holiday. 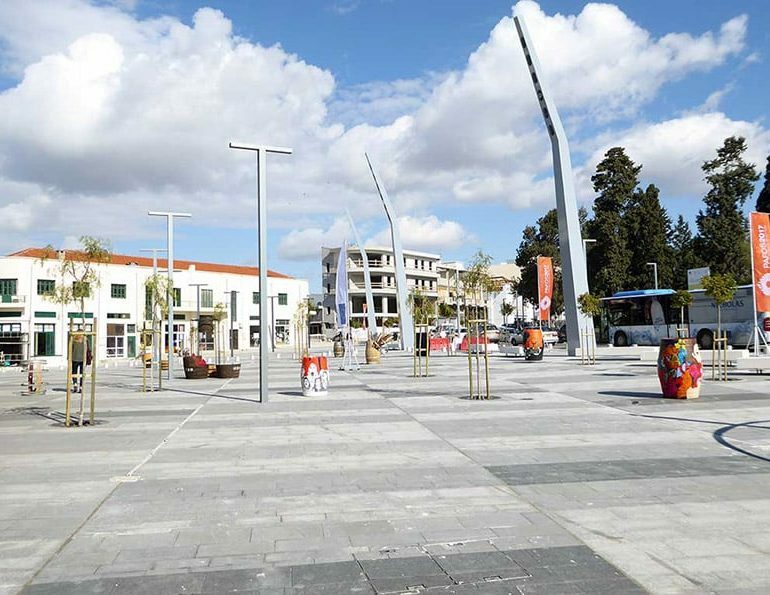 President Nicos Anastasiades will inaugurate five urban regeneration projects in Paphos this weekend, according to Paphos municipality. 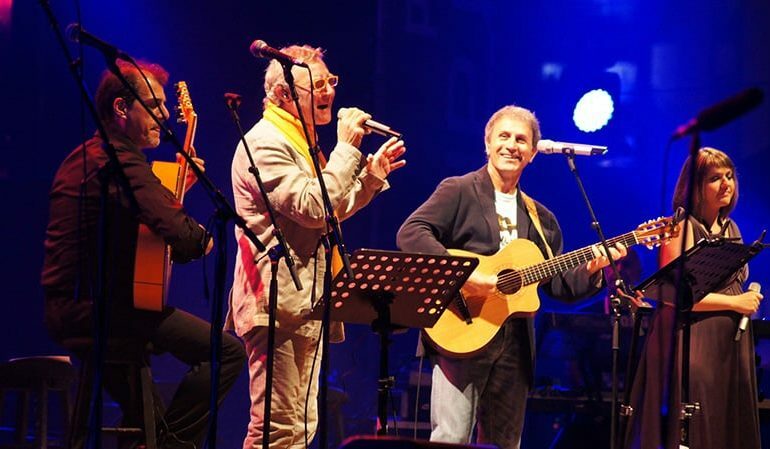 The European Capital of Culture Pafos2017 has presented almost a year of cultural drama and a feeling of connection with other cultures from around the world, and this month is the final curtain with what organisers have up their sleeves deserving a standing ovation. The European Capital of Culture Pafos2017 will start its last month of events with a bit of everything that warms the heart and reminds us that we are not that different after all. 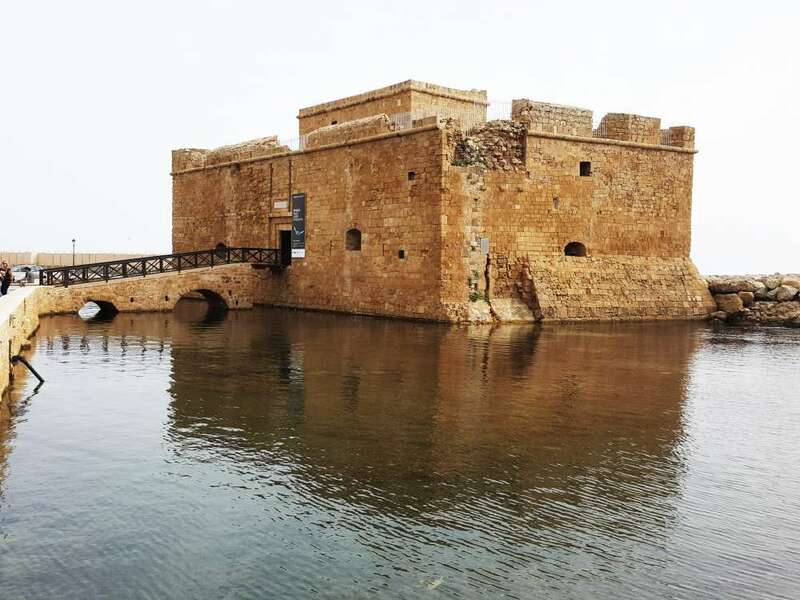 PAPHOS old town is being actively promoted as a “new brand” by the local tourism board in a bid to shake off its old, outdated image and to encourage more people to visit the area. 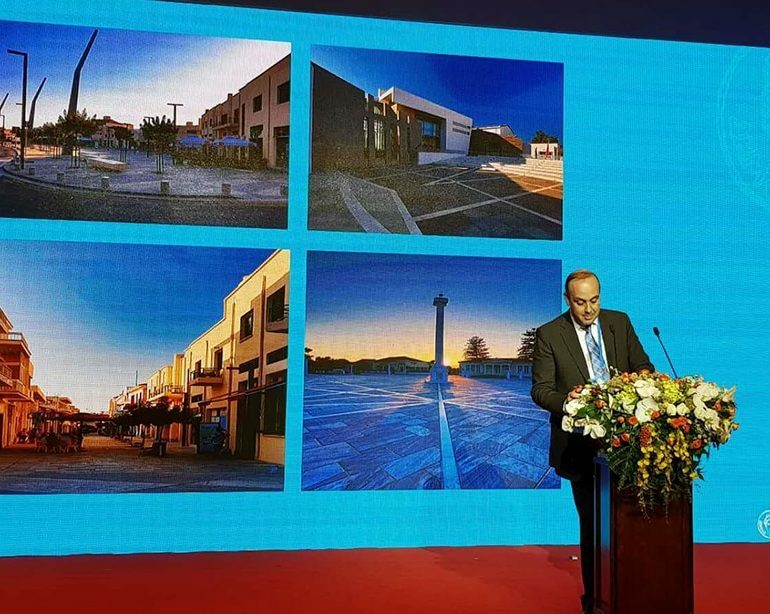 Paphos is a good example of a European Capital of culture, European Union Culture Commissioner Tibor Navracsics said on Tuesday morning at the official opening ceremony of the Cultural Capital of Europe and East Asia Forum in Shanghai. 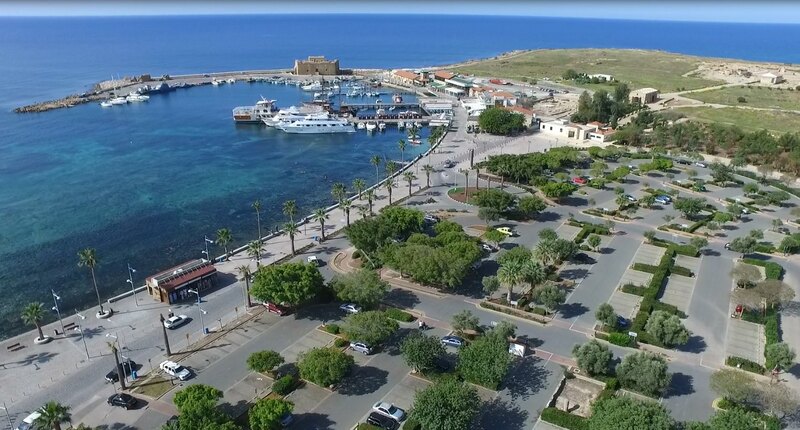 TOURISM stakeholders in Paphos are pushing forward with plans to promote the district abroad as al year-round tourist destination. City breaks are proving more popular than ever, especially when it comes to a weekend getaway in Europe. 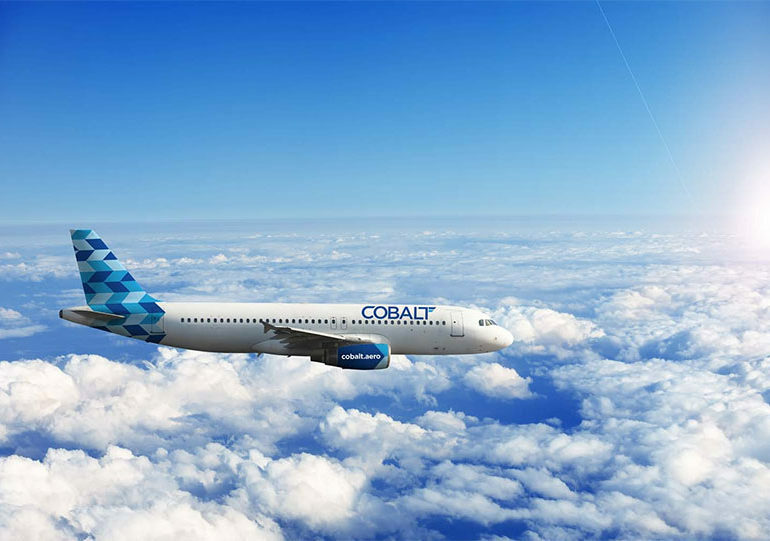 Cobalt Air flights from Paphos to Moscow this month went on sale on Wednesday, the airline announced. Set to begin on October 29, the flights will take place every Thursday..
Property sales continue to grow (20%) for the eight consecutive month in 2017, both from the domestic and especially from overseas markets. During the first eight months of 2017, domestic sales have risen by 13% and the overseas market by 44% compared with the same period last year. 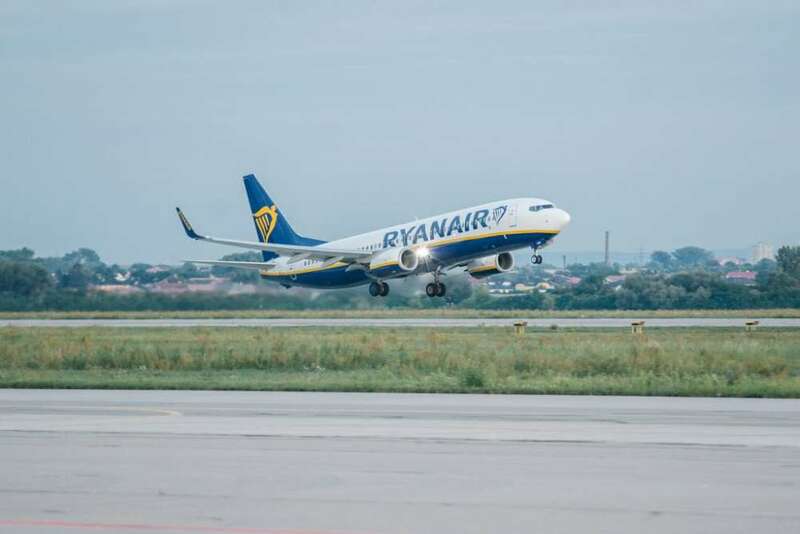 Ryanair on Tuesday launched its biggest ever Paphos summer schedule for 2018 with an additional based aircraft ($100 million investment) and seven new routes to Bratislava, Bucharest, Budapest, Dublin, Riga, Sofia and Tallinn. Pafos! European Capital of Culture 2017! Ryanair is launching a new Paphos route to Dublin, with a twice-weekly service commencing in April 2018, the first of its summer 2018 routes. 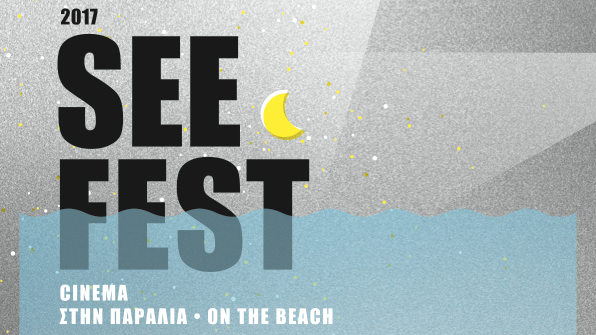 SeeFest – Cinema on the Beach Municipal Beach SODAP 9, 17, 23, 30 August 2017, 20:30 For the 4th consecutive year, SeeFest organises screenings and invites locals, foreigners and visitors of the town to share a cinematic experience under the stars and next to the waves. 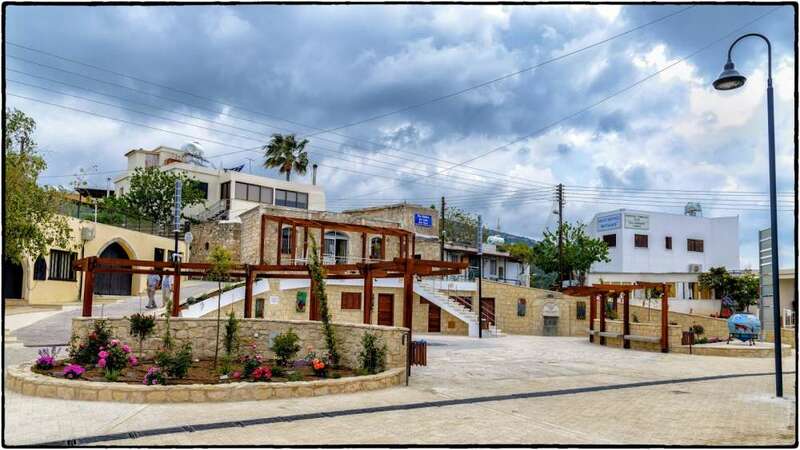 AN area in Kato Paphos, close to Apostolos Pavlou- Saint Paul’s pillar, known locally as the ‘old fishing village’ of Kato Paphos will see upgrading work get underway by the end of the year. 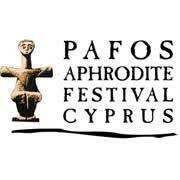 Every year we look to Paphos for the Paphos Aphrodite Festival in September and this year the festival has double the importance as it is part of the European Capital of Culture Pafos2017 events. So, get booking your tickets from now. Property sales continue to grow (20%) for the seventh consecutive month in 2017, both from the domestic and especially from overseas markets. During the first seventh of 2017, domestic sales have risen by 13% and the overseas market by 42% compared with the same period last year. A coastal engineering study for a €10 million project aimed at protecting the beaches of Geroskipou and Kato Paphos from erosion while improving their quality was presented to stakeholders on Wednesday. 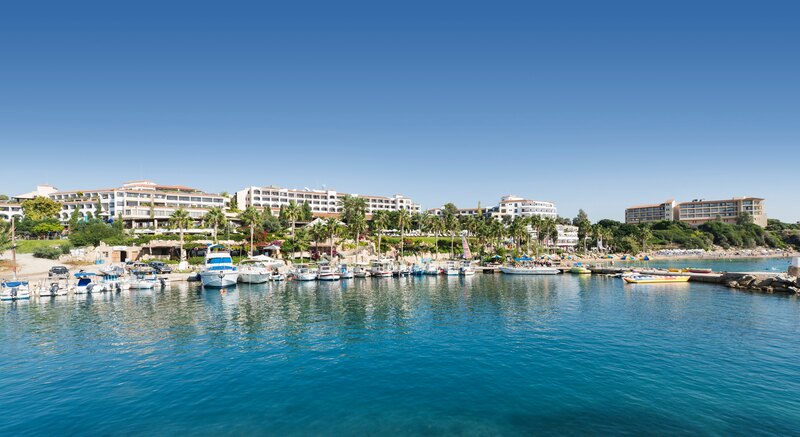 LIKE those in all Cypriot resorts, hotels in Paphos say they are experiencing the busiest tourist season ever, and for the first six months of the year, visitor numbers have broken all previous records. 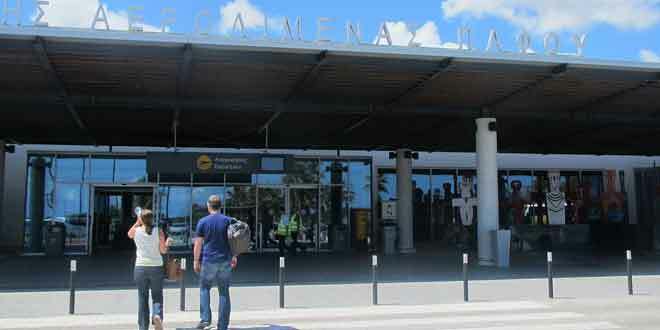 Passenger traffic at Paphos International Airport reached 4.1 mn in the first six months of the year, registering a significant increase of 17.8%, as the airport marks ten years of operations. 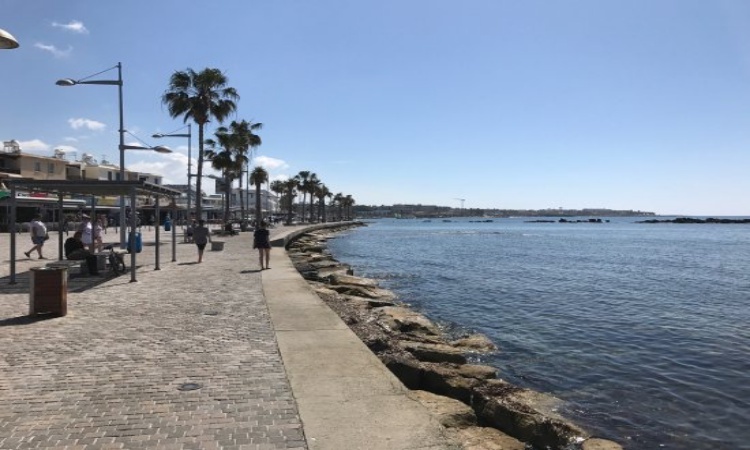 Paphos will be twinned with Alexandria in the coming months following a series of successful meetings held in Egypt over the past few days, according to Paphos municipality. 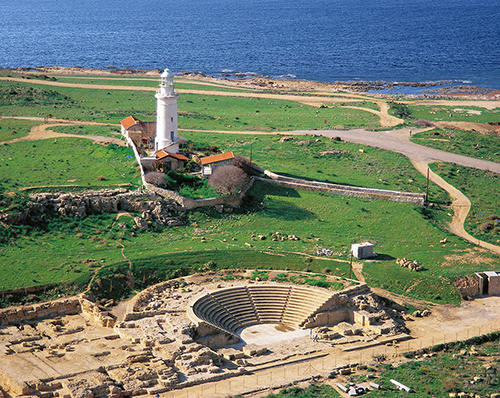 Paphos has been inhabited since the Neolithic period. It was a centre of the cult of Aphrodite and of pre-Hellenic fertility deities. Aphrodite's legendary birthplace was on this island, where her temple was erected by the Myceneans in the 12th century B.C. PAPHOS has won a Gold Quality Award as a top Sustainable Coastal Tourist Destination for 2017, the second consecutive year it has held the title. 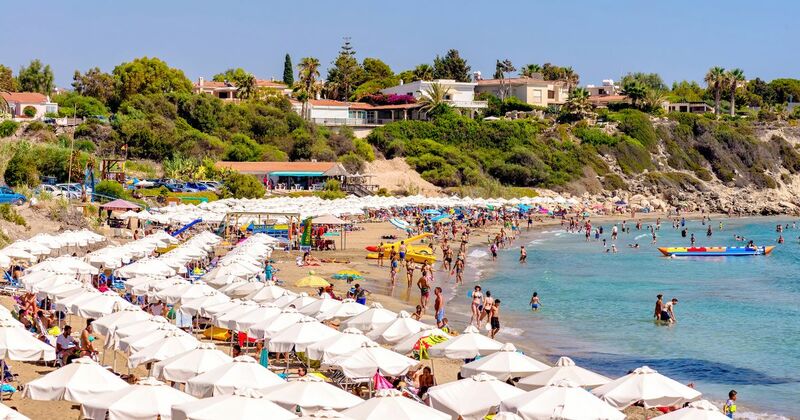 Tourism in Paphos during August will largely comprise southern European and Cypriot visitors, head of the Cyprus Hotel Association (Pasyxe) district office said on Monday, with hotels 93-95 per cent full. 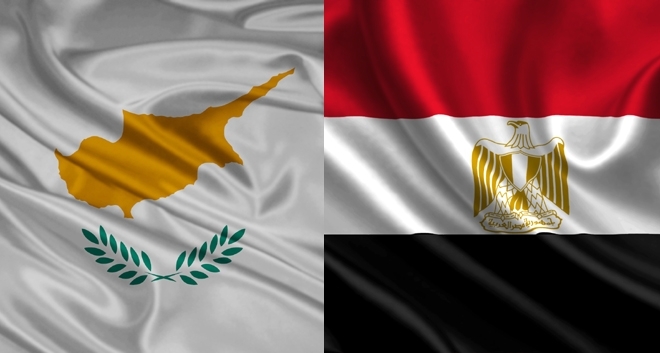 A three-member delegation from Paphos municipality will leave for Alexandria in Egypt on Tuesday, to strengthen ties between the two cities. Property sales continue to grow for the sixth consecutive month in 2017, both from the domestic and especially from overseas markets. During the first half of 2017 domestic sales have risen by 13% and the overseas market by 44% compared with the same period last year. 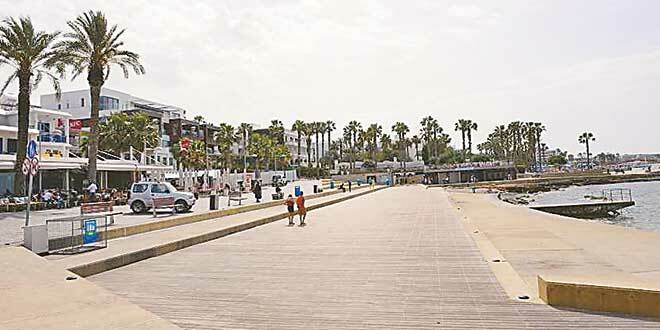 A new walkway has been unveiled on the beachfront between downtown Paphos and Geroskipou village, much to the delight of the Paphos Municipality. 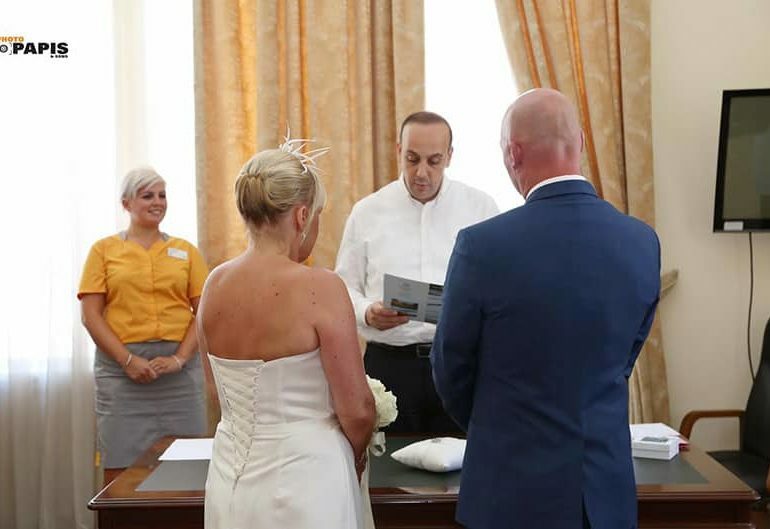 THE mayor of Paphos on Thursday officiated at the first wedding to take place in the town which was booked using an innovative online platform. 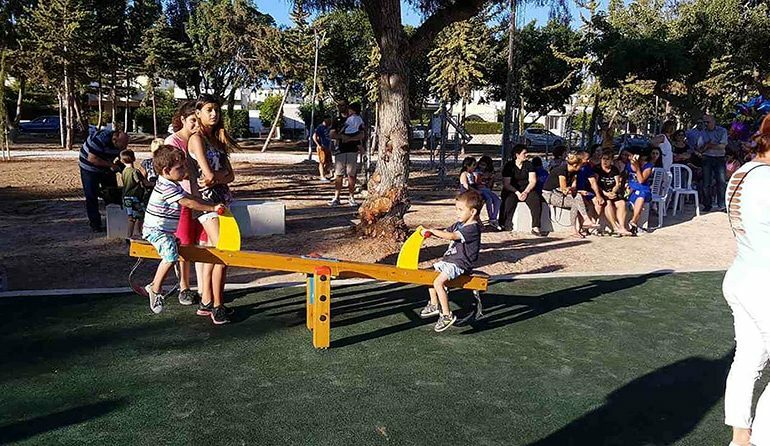 The Paphos mayor officially inaugurated on Wednesday evening an upgraded park area in the centre of Paphos, the result of a joint project between the municipality and betting giant Opap. 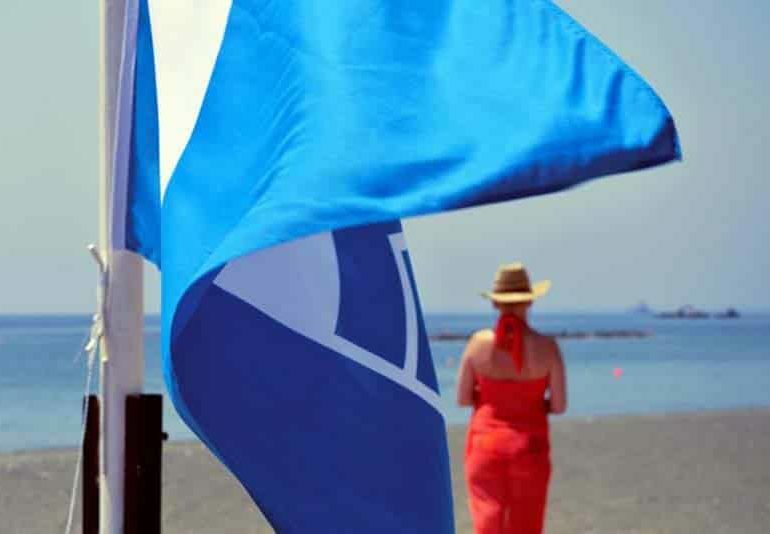 Forty-nine beaches in Cyprus were awarded the Blue Flag on the basis of environmental management criteria covering sewage treatment, coastal planning and protection, bathing water quality, safety and services and environmental education. The government is ready construct a new Paphos to Polis road and improve the existing one, the House transport committee heard on Friday. 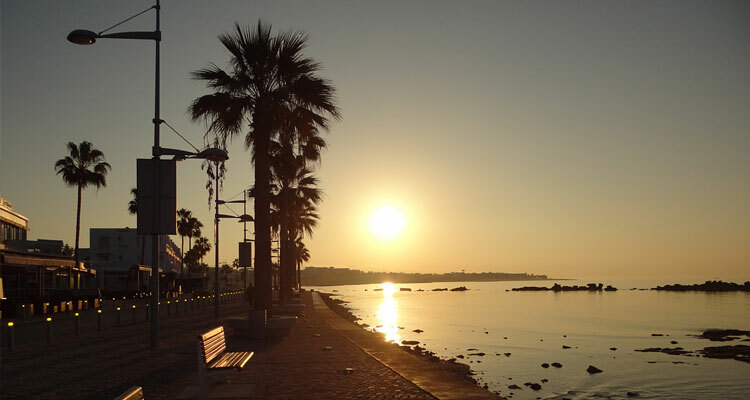 THE Paphos regional board of tourism along with other stakeholders are undertaking a programme to promote sunsets in the region as the ‘most majestic’ in Cyprus, to both locals and visitors. Paphos has been named the ninth best European destination in Lonely Planet’s top ten places for international travellers to visit this summer. 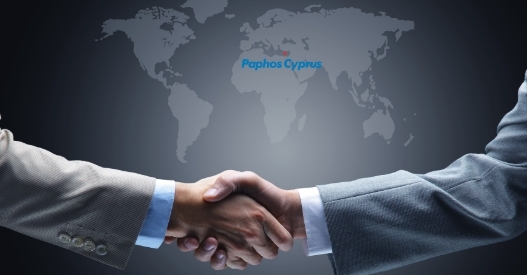 Efforts are underway by Chinese investors to build a huge industrial park in Paphos with the search already underway according to the Paphos Chamber of Commerce and Industry (PCCI). 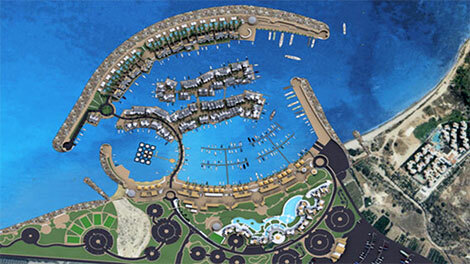 TWO Paphos projects have been given the green light, which officials say will move the area close to becoming a fully-fledged ‘Smart city’. Danish travel company Aarhus Charter will offer flights from Paphos to Denmark from May 6. 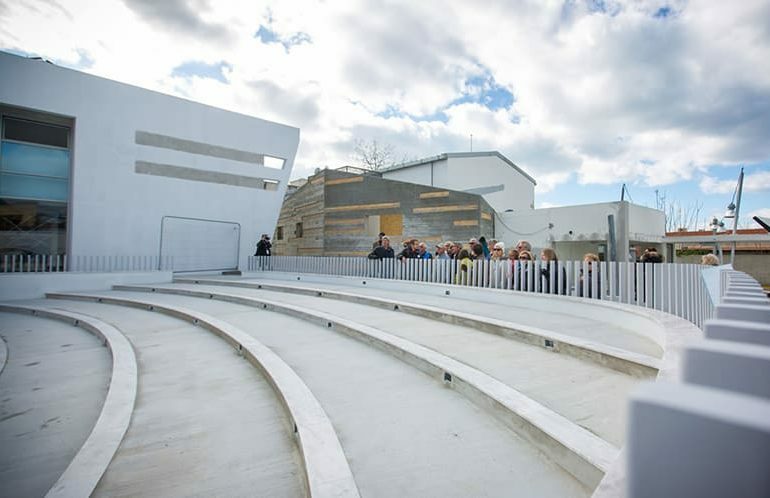 Aarhus Charter celebrates its 20th anniversary in 2017, and both Aarhus and Paphos are European Capitals of Culture this year. The Berlin Philharmonic concert in Paphos on Monday was a huge success, all involved, organisers, audience and musicians said. 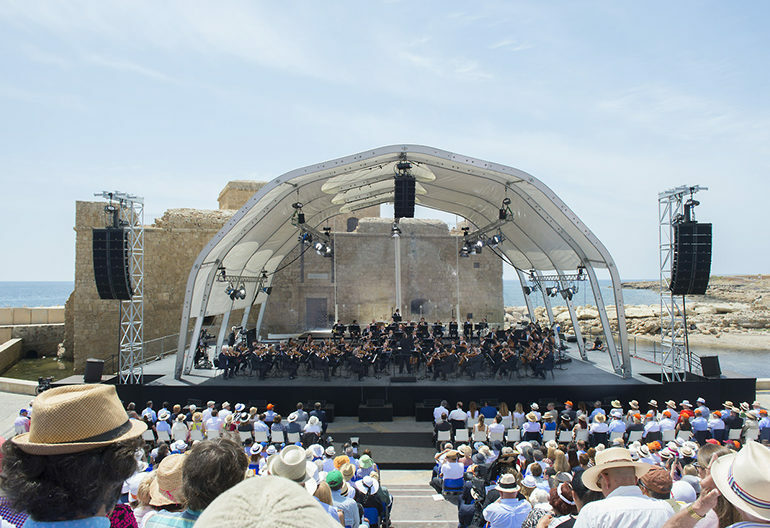 The 1,500 people who attended the sold-out concert at the square of the Paphos medieval castle gave standing ovations, seemingly not very bothered by the hot midday sun at the unsheltered venue. Welcome to Paphos, welcome to the European Capital of Culture for 2017 . 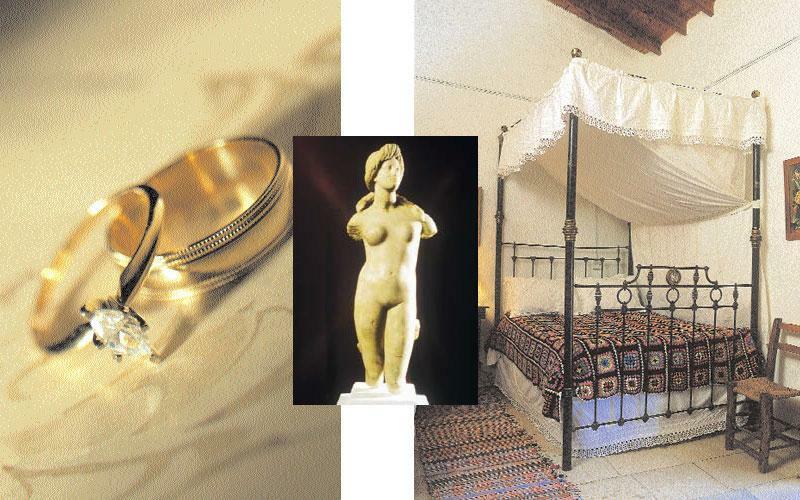 For all these months Paphos becomes the official representative of Cypriot Culture for the whole of Europe. This is a great honour for all Paphians and at the same time a great responsibility. Property sales continue to grow for the third consecutive month in 2017, both from the domestic and especially from overseas markets. Paphos continues to have the lead in purchase contracts by foreign buyers by 43%, in comparison to Limassol which follows with 30%. Larnaca is third with 15%, and lastly Famagusta with 9 % and Nicosia with just 3%. The beautiful city of Paphos has been named the cheapest place to spend a weekend – costing just £138 on average. That total includes 12 typical city-break costs including an evening meal for two with wine, drinks, two nights’ weekend accommodation, sightseeing and city transport. Welcome to Paphos , welcome to the European Capital of Culture for 2017 . The city that expresses and reflects European Culture all over the world which opens new paths for co-operation and coexistence by linking cultures. 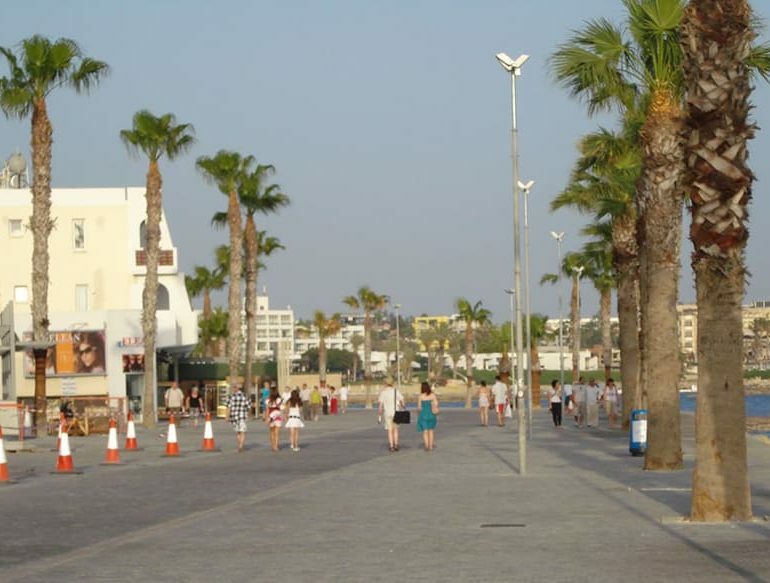 THE MAYOR of Paphos has said the municipality is aiming to make the town functional, modern and creative. 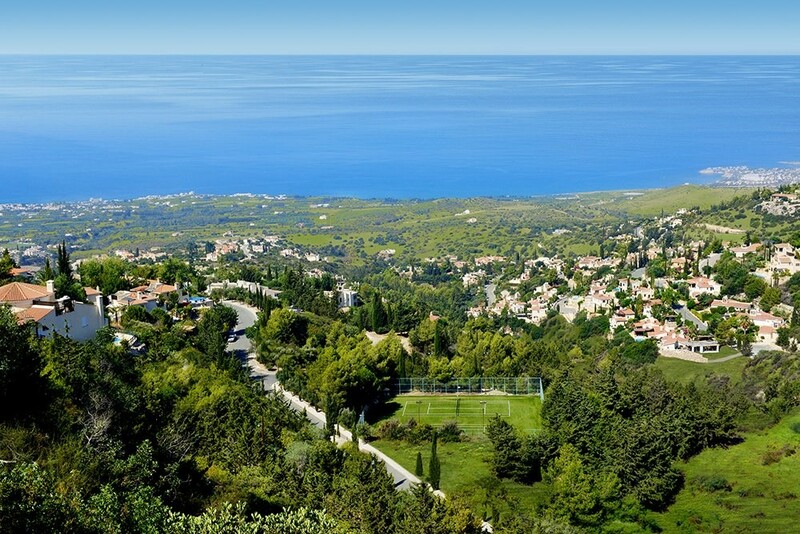 Phedonas Phedonos said Paphos will confirm its place as a prominent tourist and cultural destination this year, whilst providing residents with a home that offers a good quality of life. Hosting the European Capital of Culture is a vision with broader connotations for Cyprus, given that our country has historically been a palimpsestic bringing together historical eras, cultures and religions. 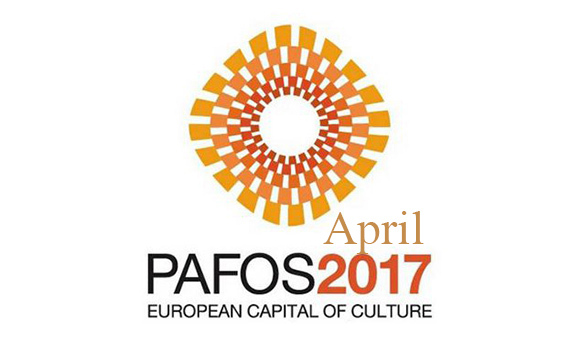 This is why we eagerly claimed this title and Pafos will be the European Capital of Culture for the year 2017, making Pafos an emblem for European culture with a greater social appeal. In a spectacular ceremony held on Saturday evening in the city’s restored central square, tens of hundreds of citizens from Pafos and all over Cyprus gathered together to enjoy a unique event. Leptos Estates the Leading Property Developers in Cyprus and Greece and all Leptos Group personnel hope that the year of 2017 will be for Pafos, as the European Capital of Culture , a landmark in the history of the city and the region. 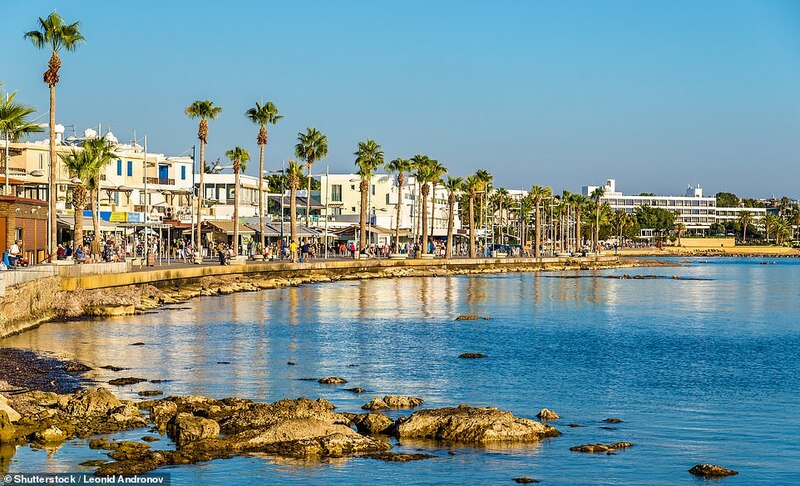 A UK Post Office survey has proclaimed the Cypriot town of Paphos as the best short-haul winter destination, combining a much sought sun break with the most affordable packages. 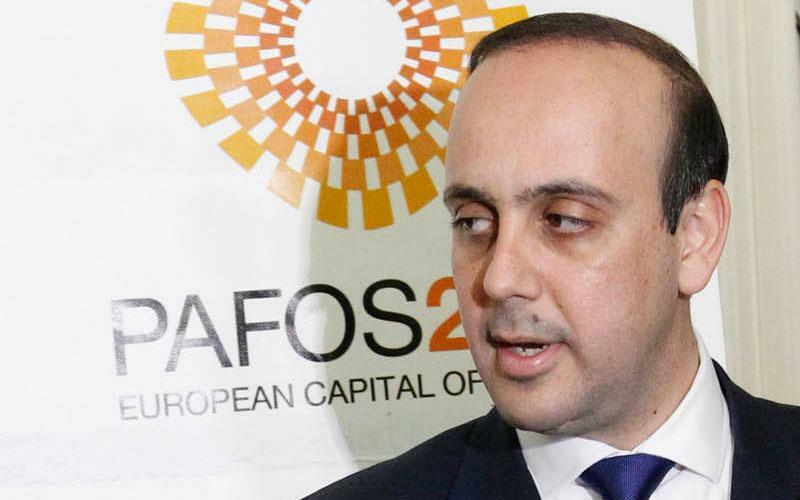 Paphos’ mission as European Capital of Culture is to send out the message that the values of humanism and culture must prevail in Europe and the Middle East, mayor Phedonas Phedonos said on Monday, January 2. 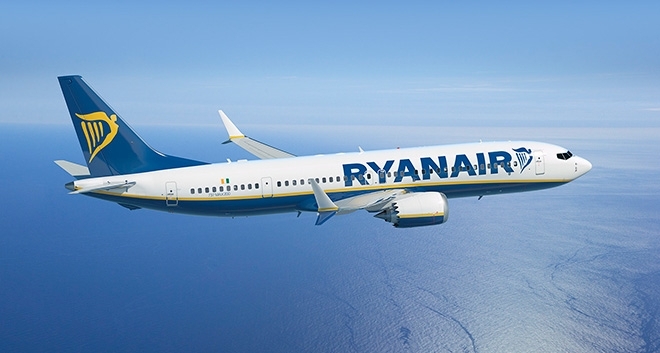 Ryanair will open its first route in Israel and from the end of March it will operate a daily flight between Tel Aviv and Paphos, Cyprus in each direction. Property sales continue to grow for the eleventh consecutive month in 2016, both from the domestic and especially from the overseas markets and particularly from Russia, Ukraine, China and the Middle East. The Cyprus housing market is improving amidst continued economic recovery, improvements in the banking system and increasing investor confidence due to the passing of new laws that offer many tax incentives. The 12th edition of the Event is now an unforgettable memory for both the runners and the organizers. 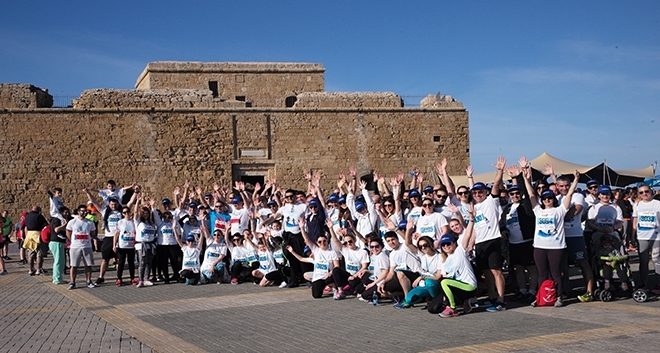 Participation has increased to 290 runners of various ages and standards all from various countries such as UK, Netherlands, Germany, France, Russia, Belgium, Czech Republic, Italy, Australia, USA, Canada Austria, Norway, Switzerland, and Cyprus. Supporters and escorts participation was also higher this year. 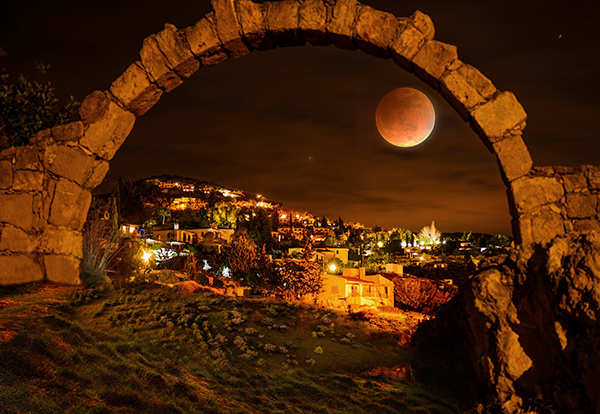 A supersized moon arose last Monday beyond the spectacular Leptos Kamares Village in Tala Paphos, which was a once-in-a generation sight and will not appear so again until 25 November 2034. 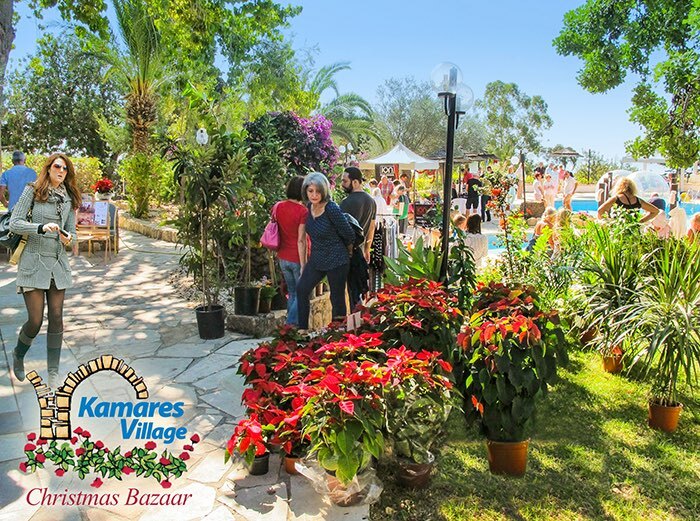 The annual Kamares Christmas Bazaar recently took place at the Leptos Kamares Club, near Tala, Paphos. 50 stall holders displaying their homemade and imported products including candles, books, jewellery, cakes, sweets, ceramics, art works ,toys and Christmas decorations happily took part in this enjoyable event. The Neapolis University Pafos (NUP), The International School of Paphos, The Aspire Private British School ,The American Academy and The Learning Center Private School of Peyia (TLC), paraded at the annual 28th of October(OHI DAY) parade in the main streets of the town of Paphos. 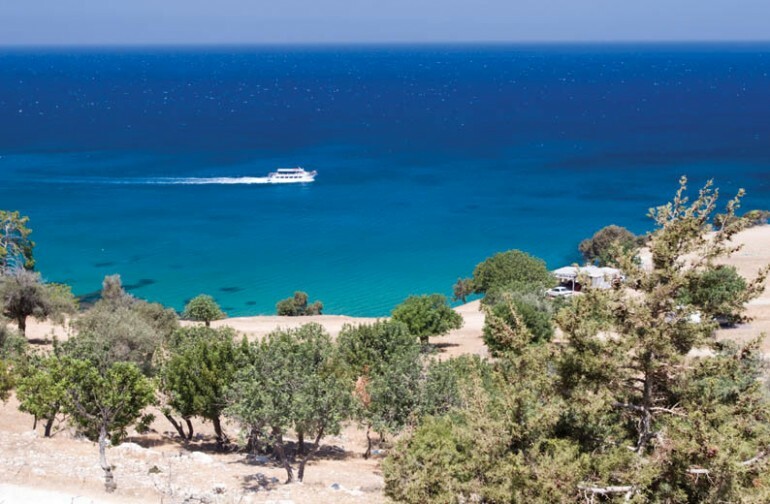 Paphos has been included in a world list of the top one hundred green and sustainable destinations, according to tourism officials. 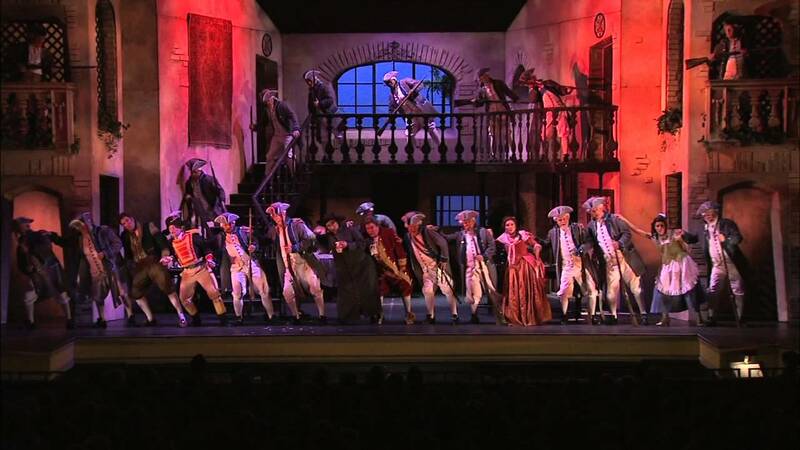 One of the greatest works of the operatic repertoire and one of the leading lyric masterpieces of all times, the outstanding Don Giovanni by W.A. Mozart is to be presented at the 18th edition of Pafos Aphrodite Festival on September 2, 3 and 4 at the square of the Medieval Castle in Pafos in co-production with Parma Opera Organization C.E.F.A.C. with the participation of the Cyprus Symphony Orchestra. 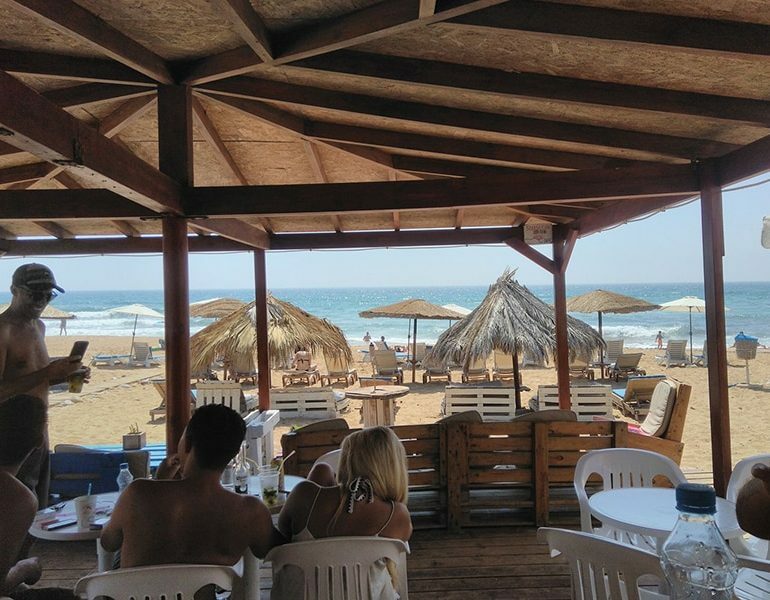 Beachgoers who want to be able to share their experience on social media or keep up with the news wherever they are can now enjoy free Wifi at two of Paphos’ most popular coastline locations. 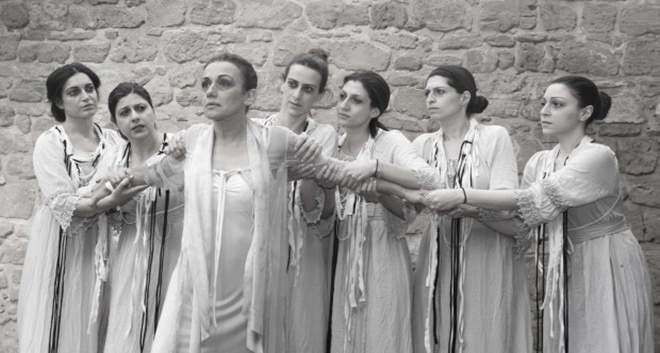 Theatre goers will have the opportunity to enjoy on Sunday evening at the ancient Odeon of Pafos Aristophanes` comedy “Women at the Thesmophoria”, the play with which the international ancient Greek drama festival opens its doors this year. 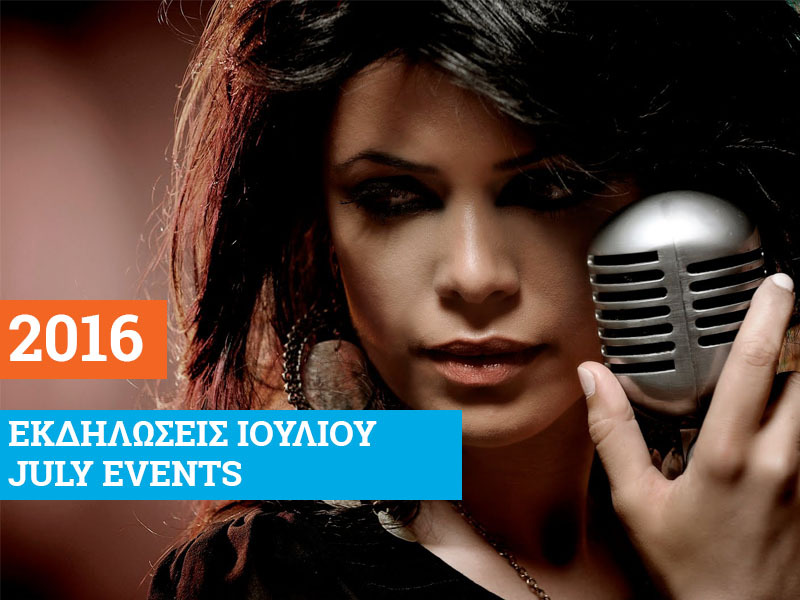 Pafos 2017 July Events - Events of the month starting on Friday 1st July 2016, 18:00 – 19:00 at Mouttallos Square with the performance “I was Lysistrata”. 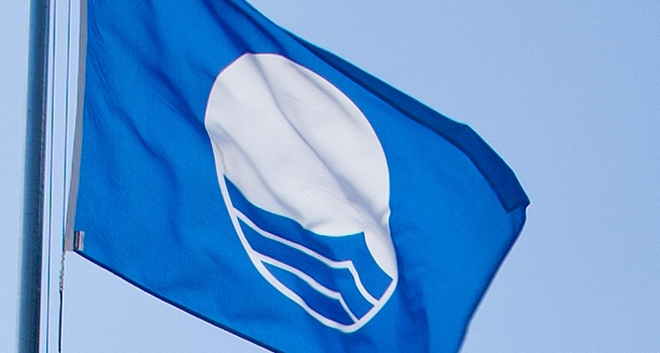 PAPHOS municipality has again been awarded blue flag status for all six of its beaches this year, much to the delight of the head of the beaches committee. 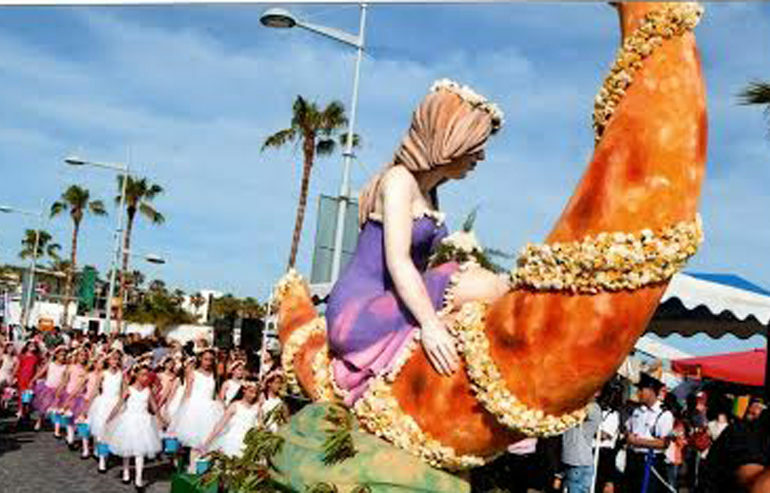 The annual Anthestiria Flower Festival is taking place in Paphos on May 29 and the cultural services of Paphos municipality are urging those who want to take part to fill in an application form. First in the Rankings of Greek Academics is the Rector of Neapolis University, Professor Spyros Makridakis The Rector of the University of Neapolis, Paphos, professor Spyros Makridakis, has come first in the rankings of 10 Greek scientists serving in Cypriot Universities. 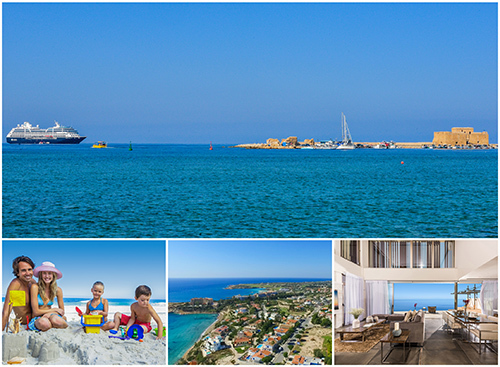 Paphos is one of the best and ideal destinations for those seeking a relaxing beach holiday under the sun or for those who choose the area as the perfect place to buy a property for Permanent Residence or even for investment. Property sales continue to grow for the second consecutive month in 2016, both from the domestic and especially from the overseas markets. A representation of Egyptian businessmen led by the Vice-President of the Egyptian Chamber of Commerce Ahmed Abdel Wahed met with the President and Director of the Paphos Chamber of Commerce and Industry respectively, Andreas Demetriades and Kendeas Zabyrinis, In-Cyprus reports. 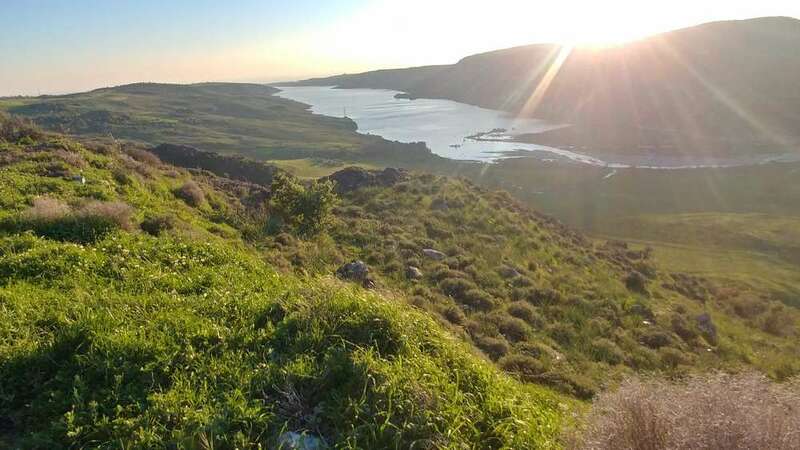 Agriculture Minister Nicos Kouyialis said on Monday that all state-owned land in Akamas has been declared a national forest park, following a decision of the cabinet. Hosted by Neapolis University in Cyprus. The 5th LE:NOTRE Landscape Forum will take place in Paphos, Cyprus from 16th to 20th March 2016. 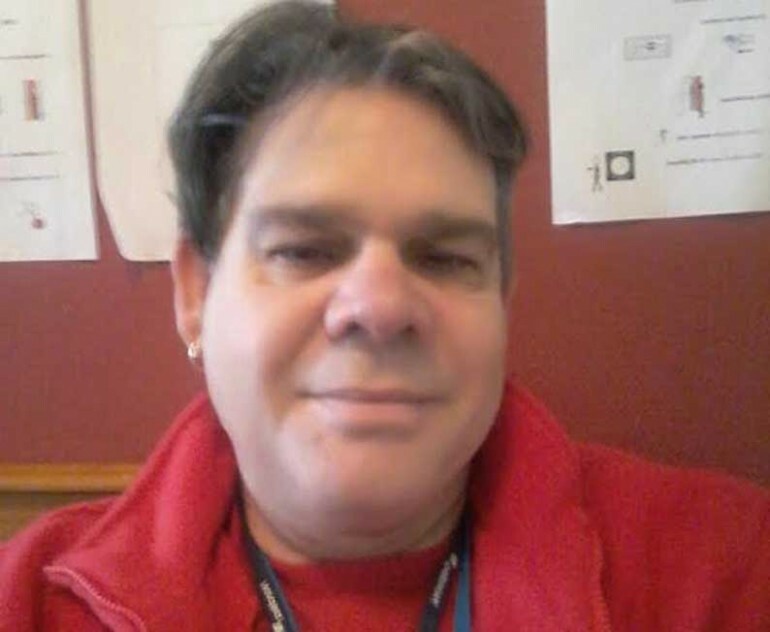 TRIBUTES poured in during the week for well-known Paphos journalist Athos (Arthur) Tilley who died in hospital in Finland after a short illness, aged 58 and who will be buried on Monday in Kouklia. For the first time, the annual Paphos marathon will feature the iconic marathon flame from Athens. The symbol will be carried into Paphos by the runners of the ‘Stelios Kyriakides’ Running Club after it arrives from Athens on March 4, ahead of the marathon itself on March 6. Sometimes in the winter months when it is cold outside there is no better place to be than in front of a cozy fireplace; crackling wood, dancing flames and tiny embers create feelings of warmth and comfort that are hard to beat. 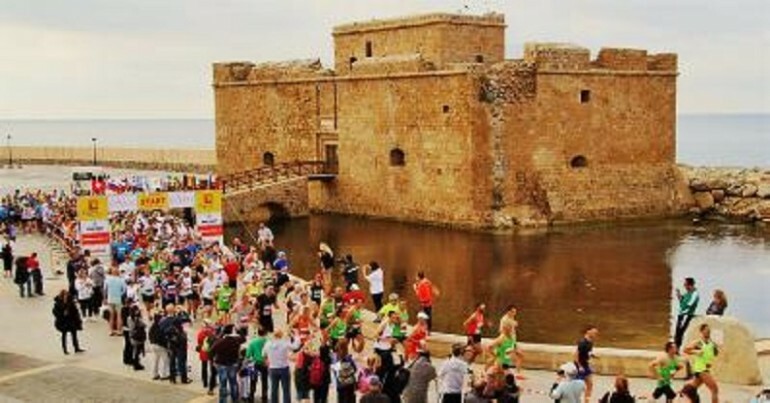 Paphos Marathon set to take place on March 6, is expected to attract more than 1.300 runners. So far 1,100 people have registered, 600 of whom come from abroad. 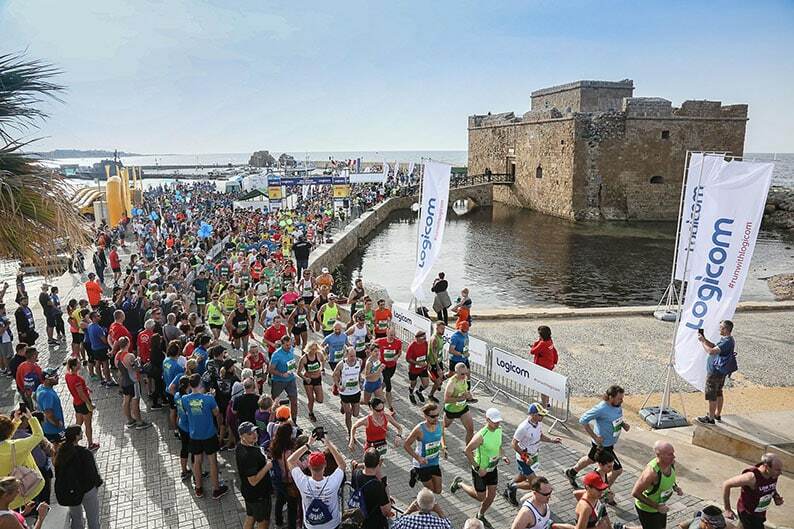 The 18th Paphos Marathon this year falls under the umbrella of Paphos 2017 Cultural Capital of Europe. Property sales continue to grow for the twelfth consecutive month in 2015, both from the domestic and especially from the overseas markets. 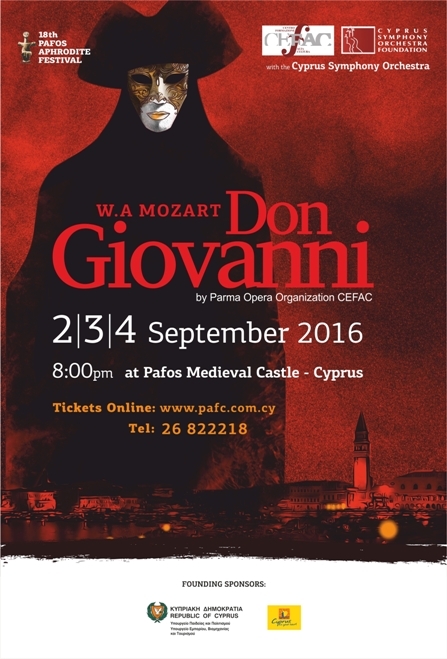 One of the greatest works of the operatic repertoire and one of the leading lyric masterpieces of all times, the outstanding Don Giovanni by Wolfgang Mozart is to be presented at the 18th edition of Pafos Aphrodite Festival on September 2, 3 and 4 at the square of the Medieval Castle in co-production with the Parma Opera group C.E.F.A.C. and with the participation of the Cyprus Symphony Orchestra. The New Year and Christmas are the times of wonder and joy, of a generosity and peace that brings the family together in celebration and song. 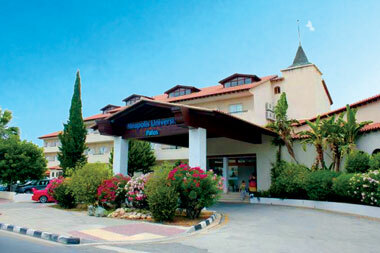 The annual Kamares Christmas Fair took place these days at the Leptos Kamares Club, near Tala, Paphos. There were 50 stall holders displaying their home made and imported products including candles, books, jewellery, cakes, sweets, ceramics, art works and toys. 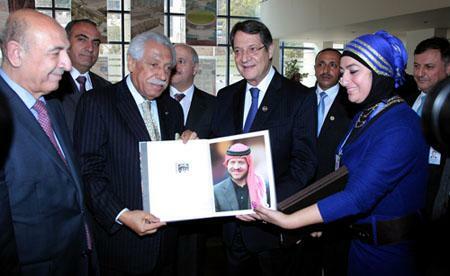 AMMAN — Cypriot President Nicos Anastasiades recently visited the headquarters of Greater Amman Municipality (GAM), where the Amman and Pafos mayors signed a twinning agreement. Paphos continues to present for the first eight months of 2015, the highest figure in property purchase contracts by foreign buyers submitted to the Department of Land and Registry during this period, by 39%, followed by Limassol with 26%, third Larnaca with 20% and lastly Famagusta with 8% and Nicosia 7%. 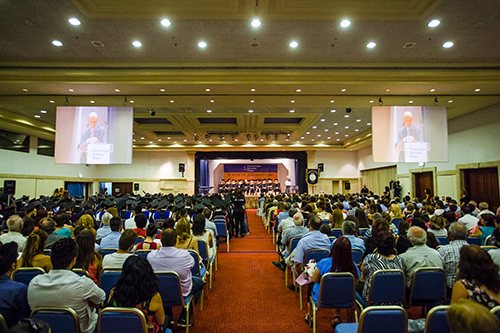 Neapolis University Pafos held its 3rd graduationceremony on Friday the 25th September 2015 at Coral Beach Hotel and Resort.343 undergraduate and postgraduate students proudly received their diplomas to embark on new challenges in life with a degree from Neapolis University. 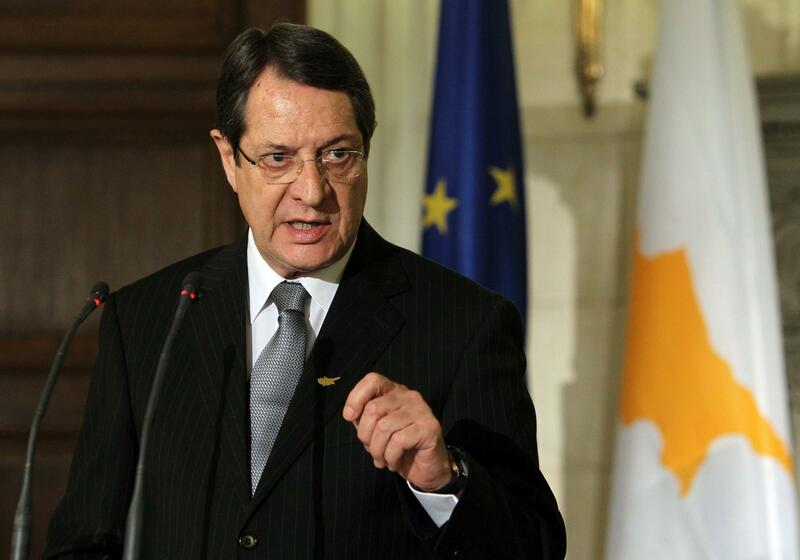 President Nicos Anastasiades on Monday announced €60m worth of projects for Paphos during the first stop on his ‘tour’ of all of the districts in Cyprus to announce development s plans.“I know the problems the municipalities and Paphos communities are facing. I want to emphasise from the outset that my presence here does not mean solving all the problems,” he said. 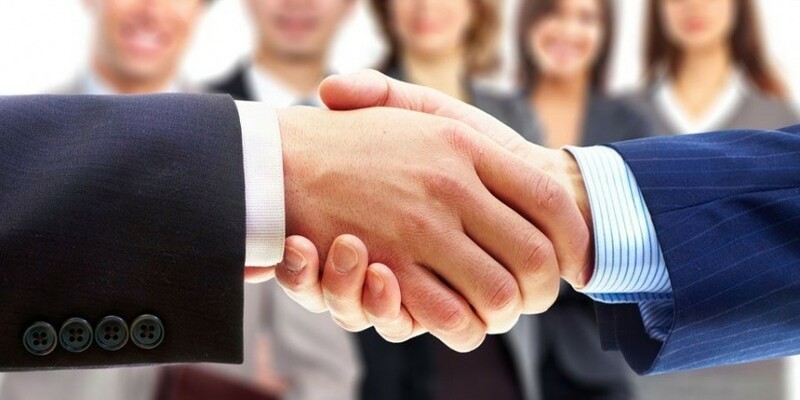 Major private projects to be carried out in Paphos district Members of the Paphos’ Commerce and Industry Chamber had important meetings in order to promote major private projects in Paphos District, in an effort to find alternative funding sources. 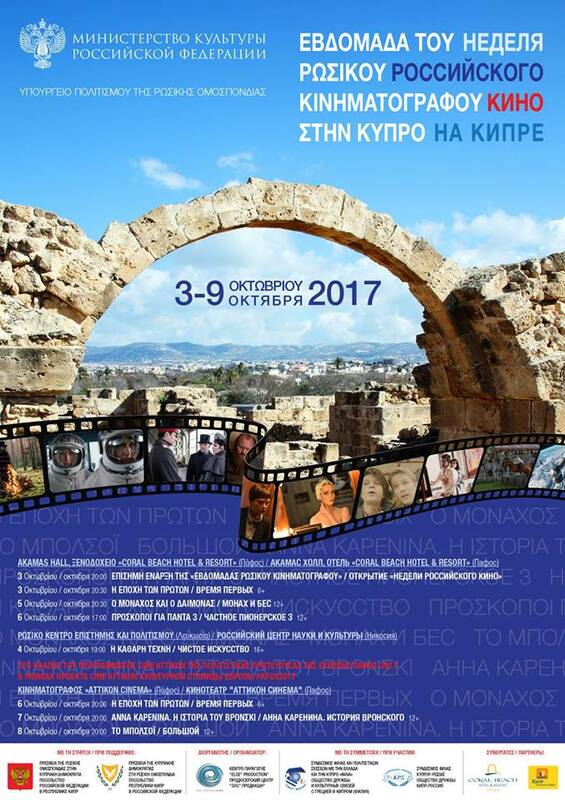 The Cyprus News Agency has completed a cooperation agreement with Paphos2017, the non-profit organization which has undertaken the promotion of Paphos town as the European Capital of Culture for 2017. The Department of Antiquities and the Ministry of Transport, Communications and Works has announced the opening of the temporary exhibition “Nea Paphos: 50 Years of Polish Excavations, 1965-2015”. The exhibition will take place at the Cyprus Museum, on the 25th May 2015 at 19.00. Thomson and First Choice will introduce a new route for local holidaymakers in the summer of 2016, connecting Norwich and Paphos, according to a Norwich International Airport announcement. Tickets for the new route will go on sale on Thursday. LOW-cost carrier Ryanair has announced its winter 2015 Paphos schedule with a seat sale valid until midnight today, Thursday. The announcement said that the airline was releasing 100,000 seats for sale across its European network, from €19.99, for travel in May and June. Hermes Airports, the Cyprus Tourism Organisation and Paphos Board of Tourism welcomed yesterday the first flight of Germania to Paphos Airport. 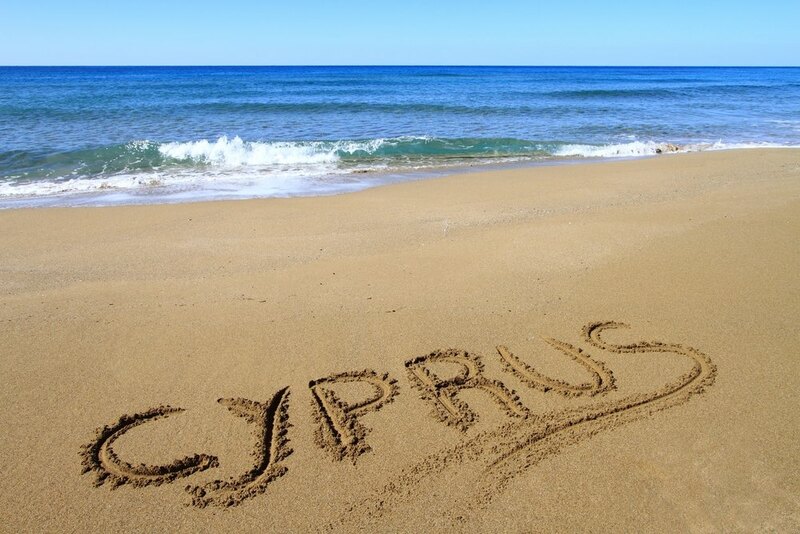 Germania flights will connect Cyprus with five German cities. NIKI, the Austria-based airline and a part of the airberlin group, has announced the increase in frequency of its new route between Vienna and Paphos. Officially launched on February 24 2015 and operated every Tuesday, the flight will become bi-weekly as of April 2. When the sun has set, no candle can replace it! The magic of a beautiful sunset, unique in Paphos ,can only be described as breathtaking… It has to be seen to be believed. 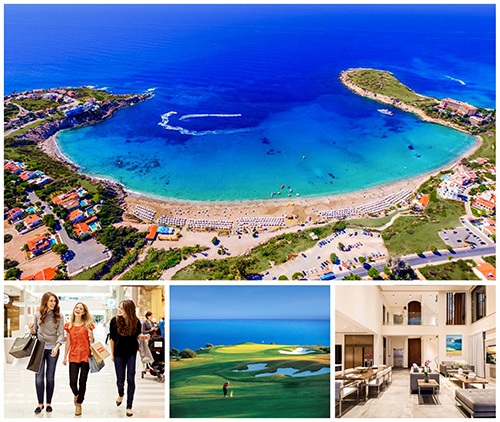 Paphos International Airport located just 6 Km of the city of Paphos provides access to popular sea Resorts such as Kato Paphos, Coral Bay, Latchi, Pissouri and Limassol and the mountain Resorts of Platres and Troodos. 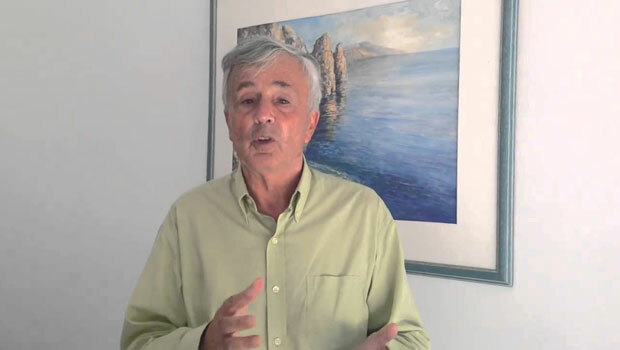 Fedonas Fedonos, the independent candidate who ran in the Pafos municipal elections with the support of the ruling Democratic Rally (DISY) party, is the new mayor of this coastal town. 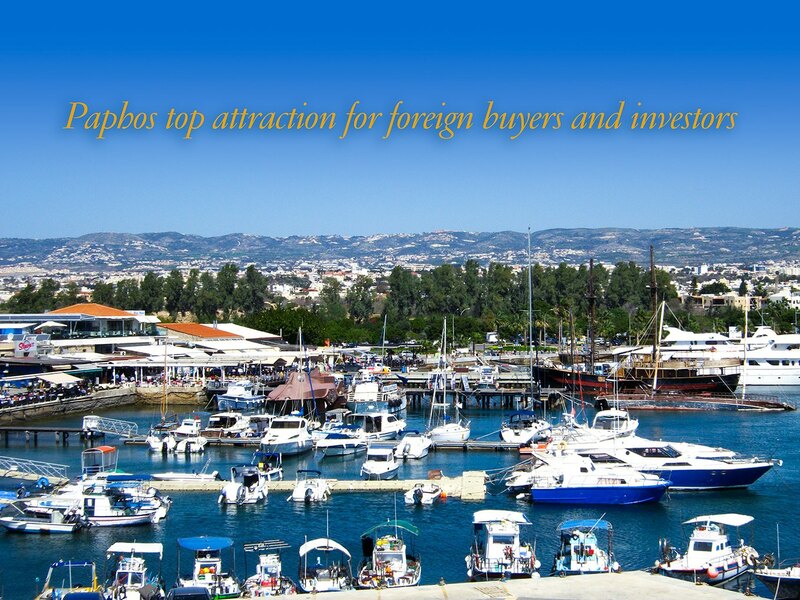 Paphos proved to be the most popular area for foreign investment in real estate in Cyprus between 2010 and 2014. 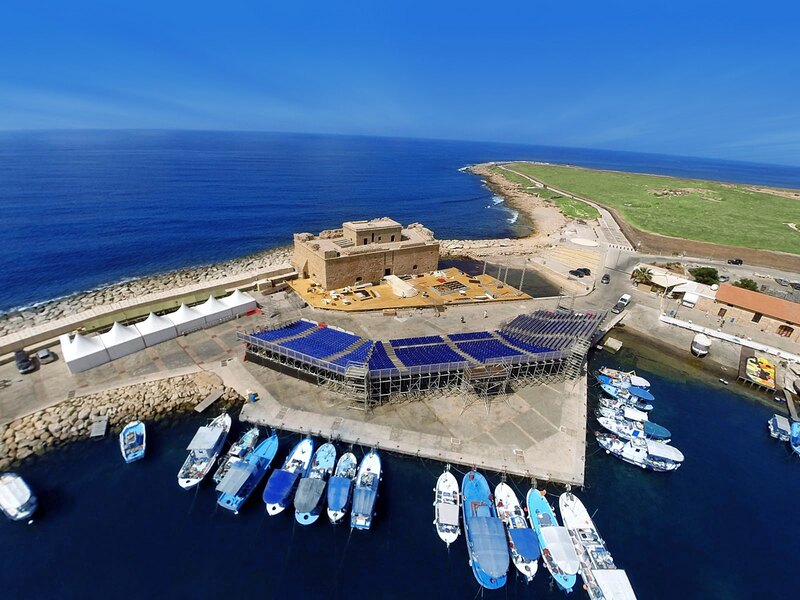 Paphos has been included in the top 100 tourist destinations recognised globally for their commitment to sustainability.The Sustainable Destinations Global Top 100 aims to celebrate the management efforts of the hundred most sustainable destinations on Earth. The Top 100 is the result of open calls in the social media, and of a selection process by 30 international experts in tourism sustainability. The annual Kamares Christmas Craft Fair took place last Saturday at the Leptos Kamares Club, at Tala, Paphos. 50 stall holders displayed their home made and imported products including candles, books, jewellery, cakes, sweets, ceramics, art works and toys. Property sales continue to grow for the tenth consecutive month, both from the domestic market as well as from overseas markets. Regarding sales from the overseas market, Paphos has quite a variance from the rest of the cities with a market share of 38% , followed by Limassol with 25% and Larnaca with 18%. 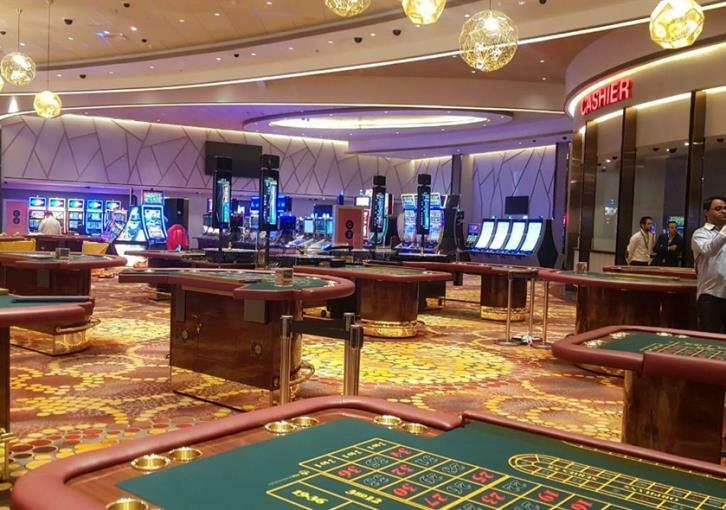 CHINESE investors have shown an interest to invest in Paphos and are particularly keen to look at the potential of the town hosting a casino resort, the head of the Paphos Chamber of Commerce and Industry said on Wednesday. Property sales continue to grow for the seventh consecutive month, both from the domestic market as well as from the overseas markets.The largest increase was shown in Paphos and Limassol. Regarding the sales from the overseas market, Paphos has quite a variance from the rest of the cities with a market share of 30% then follows Limassol with 25% and Larnaca comes with 17%. The second graduation ceremony of Neapolis University Pafos took place on Friday, 19th September 2014, at the Coral Beach Hotel &Resort, in Pafos. The event was a great success and of particular importance, as Neapolis University awarded the degrees to the first undergraduates of the University. Seven new flights a week operated by airline Germania will connect Paphos with five German airports from next year. The Paphos regional board of tourism confirmed that the flights would commence in March 2015. The Academic Community of Paphos together with Paphos officials welcomed the new Rector of Neapolis University professor Spyros Makridakis and expressed their congratulations and gratitude for taking on such significant duties. Dr. Makridakis was wished every success in this important and at the same time challenging role. Ryanair, Europe’s prominent low fares airline, recently announced its Q1 2014 fiscal results, revealing a net profit of some €197 million, an increase of 152% on last year.Despite the impressive result, the airline, whose interest in Cyprus Airways has been greatly discussed in the local media, has cautioned that this result may be distorted by the timing of a very strong Easter in Q1, with no holiday period in the prior year comparable. 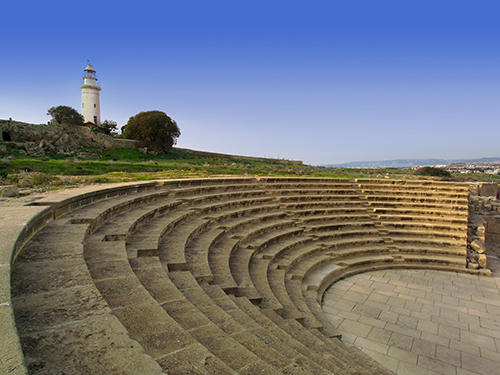 This year, the Paphos Aphrodite Festival 2014 is set to present the popular, witty opera Cosi Fan Tutte by Wolfgang Amadeus Mozart on September 5, 6 and 7, at the Medieval Castle in Paphos, in co-production with the lyric organisation Opera Futura from Verona and the participation of the Cyprus Symphony Orchestra. Joyful news for Paphos and particularly for the Neapolis University with the announcement of Ryan Air that it will not only continue but will enrich its flight program from the main cities of Greece to Paphos International Airport. Ryanair’s Chief Executive Officer Michael O’Leary held a press conference in Nicosia, to launch the Paphos winter 2014 schedule. The European low-cost airline will inaugurate a new, daily route between Paphos and Athens in its winter flight agenda, adding to the other seven flights in its Paphos schedule. Paphos and Protaras are ranked at number seven and nine respectively among Greek travellers' top international tourist destinations at an average accommodation price of €125 and €179 per night, according to a survey carried out by www.trivago.gr website. Paphos is the region which presented for the first five months in 2014 the highest figure in property purchase contracts by foreign buyers recorded at the department of lands and registry with 36%. Limassol followed with 24%, third was Larnaca 15%, and lastly Nicosia 13% and Famagusta 12%. 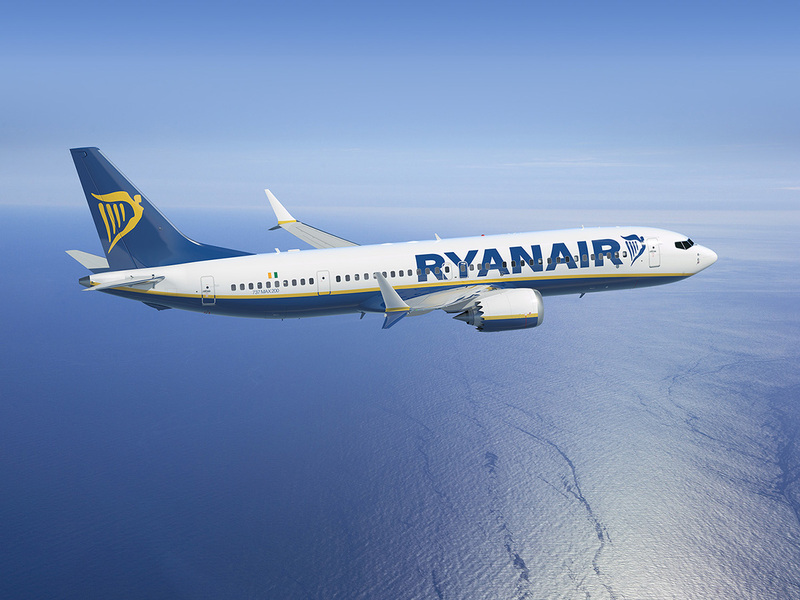 Ryanair yesterday unveiled its Paphos 2014 winter schedule with a total of eight routes, including Brussels Charleroi, London Stansted and Rome. These are estimated to carry over 550,000 customers per year and support over 850 on-site jobs at Paphos. The visit of the a four-member committee of Russian entrepreneurs from the Chamber of Rostov with Cypriot businessmen operating mainly in the Polis Chrysochous region was finalised yesterday, during which the strengthening of cooperation in various fields was discussed. Despite the fact of a specific decline in property purchase in Cyprus, during the first quarter of 2014, Paphos is the only region which presented the highest figure in property purchase contracts by foreign buyers placed at the department of lands and registry of 41%. Limassol followed with 25%, third was Larnaca 17%, and lastly Nicosia 9% and Famagusta 8%. The well-known Soviet cosmonaut Alexander Volkov has recently spent his holidays at the Coral Beach Hotel & Resort in Paphos. Mr. Volkov stated that he was very pleased with the high standard of service he received from the hotel as well as the very friendly management and helpful staff. At a young age, Volkov witnessed Yuri Gagarin become the first man in space and this inspired him to become a cosmonaut. He joined the Soviet space program and became a test pilot before realizing his dream. LOW-COST carrier Ryanair on Tuesday announced its summer 2014 schedule, including a new route to Athens from Paphos which will operate daily from April 1. 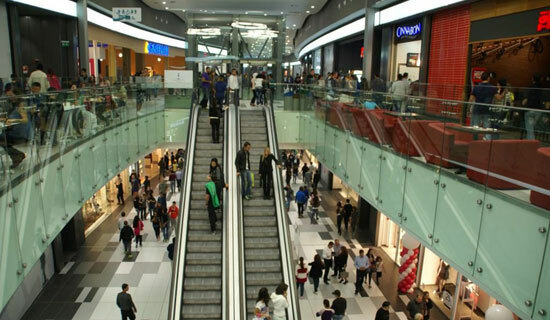 The Kings Avenue Mall is the new, full concept, shopping mall of Paphos. This state of the art commercial building is one of the largest commercial developments on the island of Cyprus. The total investment will exceed the amount of €100 million and will serve as the ultimate shopping experience. The Limnaria Club in Kato Paphos is soon to be the home of the Royal British Legion Paphos Branch.A group of individuals, lead by Dave Rees and Brian Walker, together with club officials from the Limassol Branch of the Royal British Legion, have secured a lease on the Leptos owned premises known as the Limnaria Club; they have worked together throughout the year to get the club to a point where it can be finally opened. A group of 15 Egyptian journalists from Cairo and Alexandria visited Paphos & Limassol for a four day trip, following a special invitation by the Leptos Group.During their stay they visited the property developments, the new University of Neapolis, the Iasis Medical Centre as well as the Hotels and Holiday Resorts which are operated by the Leptos Group in the towns and provinces of Paphos and Limassol. 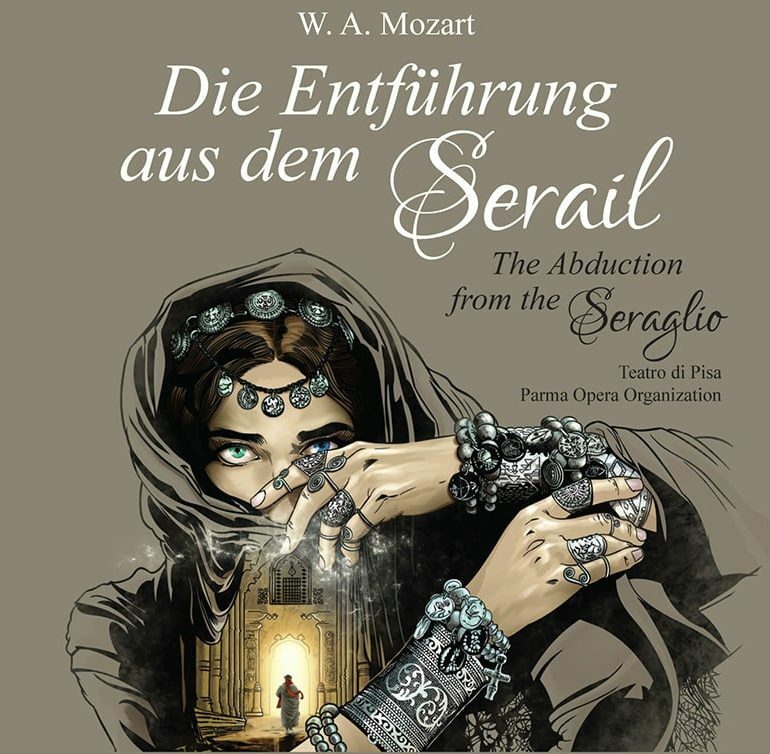 Arias and songs will be performed by the young opera stars. 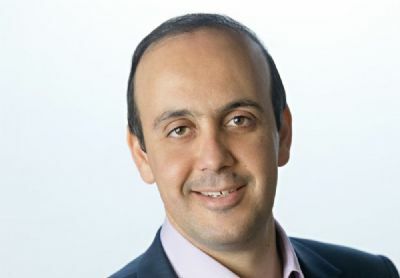 Aegean airlines has announced Paphos-Athens flights starting from April next year.Head of the Paphos regional board of tourism, Nassos Hadjigeorgiou, welcomed the announcement, saying it could only mean good news for Paphos. 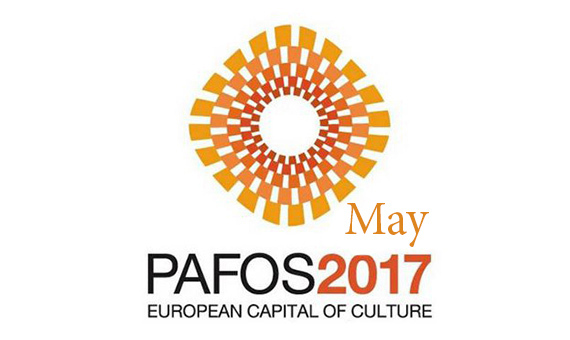 Pafos was proclaimed the 2017 Cultural Capital of Europe, during a ceremony at the Council of the European Union, in Brussels. Present during the ceremony were Cyprus Education Minister Kyriacos Kenevezos and Pafos Mayor Savvas Vergas. Celebrating 15 years of continuous presence in the cultural life of Cyprus and having presented remarkable performances by internationally acclaimed operas, the «Pafos Aphrodite Festival» is this year giving the music loving public of Cyprus the opportunity to enjoy the famous, romantic, comic opera "The Elixir of love ". “Paphos Region – a good reason for all seasons!” Paphos, the mythical birthplace of the Greek Goddess Aphrodite, is a coastal region located in the southwest Cyprus. Its subtropical-Mediterranean climate, unique history and high quality natural environment make it one of the most attractive parts of the island to be explored. Paphos Airport (PFO) is located 6 km southeast of the city of Paphos, Cyprus. 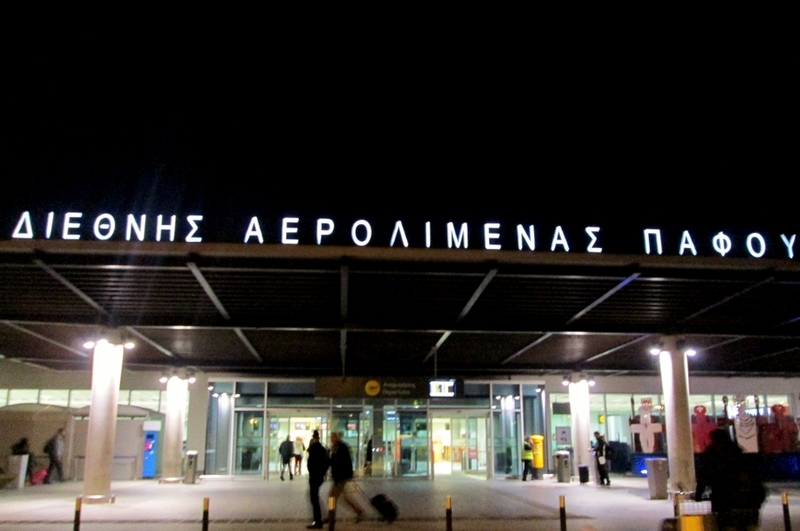 It is the country's second largest International Airport, after Larnaca International Airport. Paphos Airport is commonly used by tourists on holiday in western Cyprus, providing access to popular resorts such as Coral Bay, Latchi, Limassol and Paphos itself. A new modern terminal opened at Paphos in November 2008. New figures released by the department of lands and surveys earlier last week show that the property purchase contracts deposited throughout Cyprus continued to decline with the exception of Paphos, where overall sales increased. Leptos Group of companies welcomes the recommencement of the summer flights of Ryanair to Paphos and its new flight routes which will be starting on March 25th, connecting Paphos with Charleroi-Belgium, Girona-Spain, Bologna- Italy, Dusseldorf-Germany, stated in the announcement that was issued. The great success continues with the presence of Leptos Estates at international real estate exhibitions in various Middle East countries as well as the Gulf region, within the first months of this year with the participation in Cityscape Cairo, the largest Real Estate Exhibition in the area. Although Cyprus continues to negotiate a bailout deal with the Troika, there are some early signs that domestic and overseas buyers are returning to Paphos despite the economic uncertainties. Figures released by the department of lands and surveys earlier last week show that the property purchase contracts in favour of overseas buyers throughout Cyprus and especially in Paphos, in December increased compared to December 2011. 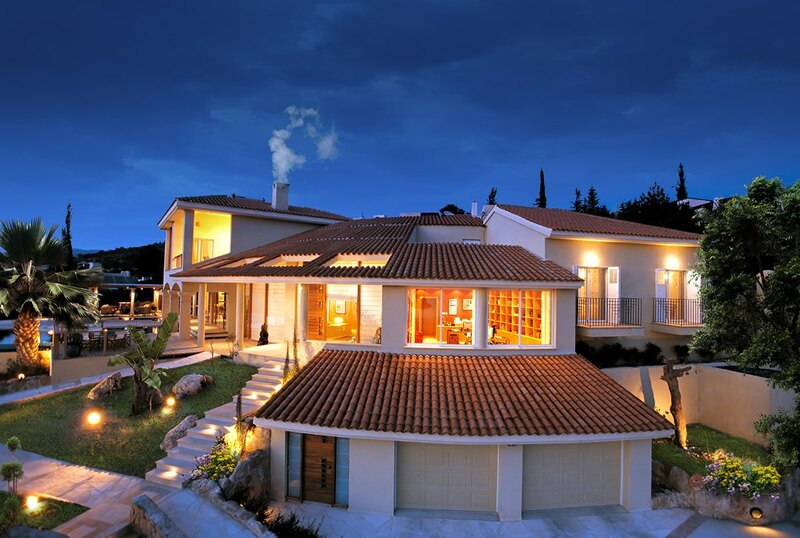 Cyprus and especially Paphos property market is currently being boosted by investors and property buyers from China. There has been almost 50% increase in property sales in Paphos district according to recent official statistics and the biggest part of this increase is due to the Chinese purchasers. The achievement of winner of European Capital of Culture in 2017 was a great day for Pafos, not just the city but for the entire Pafos District. 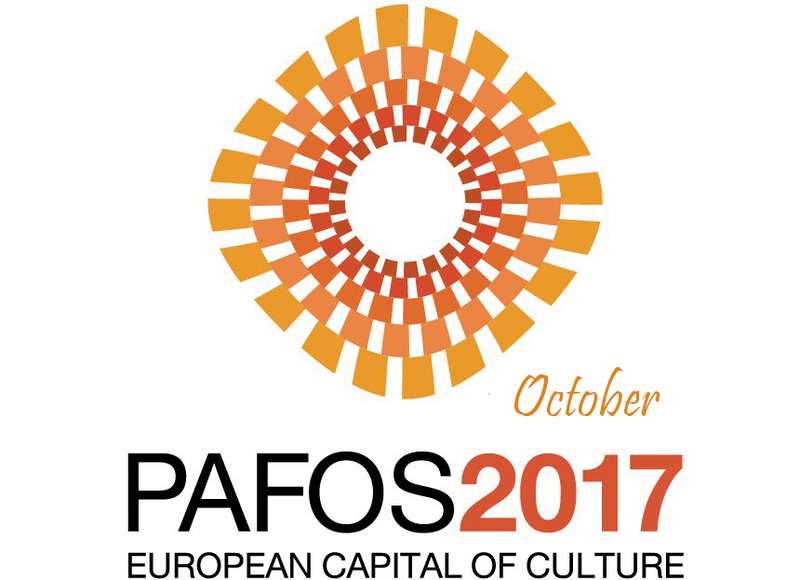 The city of Pafos was selected over contender Nicosia as the European Capital of Culture in 2017 by an independent selection panel in September 2012. Cyprus is an island attracting a great number of tourists throughout the world and there seems to be a great increase in the number of tourists selecting Paphos, the birthplace of the Goddess Aphrodite as their holiday destination. This increase in the number of visitors to Paphos does not only consist of holiday makers but also of potential investors and buyers of real estate. 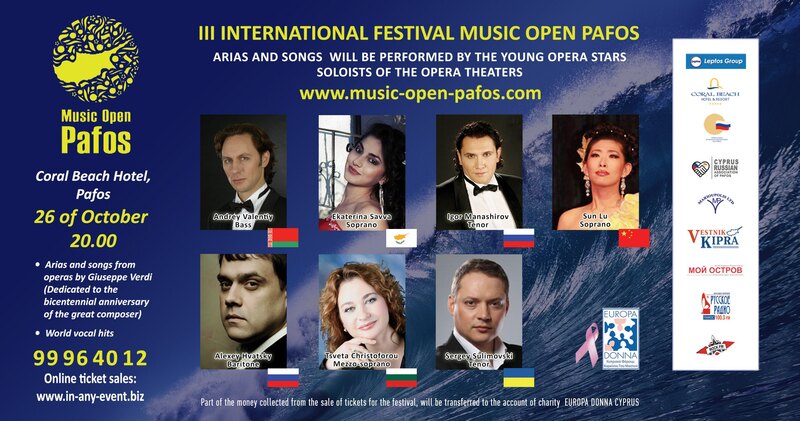 With the popular opera Otello by Giuseppe Verdi which is related to the history of Cyprus since the plot takes place at the Castle of Famagusta, Pafos Aphrodite Festival 2012 opens its curtain. Flights to Paphos will deliver you right into the lap of the legend, with the much-visited tourist attraction of the rock, also known as Petra Tou Romiou, within easy reach of the resorts around Paphos and especially to the ones owned by Leptos Calypso Hotels and Leptos Estates. Mr.Pantelis Leptos (left)the new chairman of the Cyprus Land and Building Developers Association with Mr. Michael and George Leptos ,Charles E.Bogosta President of UPMC , Jeffrey A.Romoff Chief Executive officer of UPMC during their visit to the Cyprus Presidencial Palace with President Demetris Christofias. Mr.Pantelis Leptos (right) the new chairman of the Cyprus Land and Building Developers Association at the 63rd FIABCI world congress in St.Petersberg,Russia. Mr.Pantelis Leptos (second to the right)the new elected President of the Cyprus Land and Building Developers Association with other business friends and parteners. Pantelis M.Leptos who has been elected as the new Chairman of the Land and Building Association of Cyprus is pleased to announce that the Cyprus government has expanded the 5 percent VAT payable on new homes used as primary residences to include non-EU citizens and has extended the Property Transfer Fee reduction/suspension until the end of the year. Mr. Pantelis Leptos, Director of Leptos Group, celebrates the Green Festival at the Neapolis Smart Eco City, the largest new planned city in Cyprus. Mr. Pantelis Leptos, the Director of Leptos Group aims the project to be the most innovative and Eco-Friendly ever developed in the Eastern Mediterranean region. Mr. Pantelis Leptos, Director of Leptos Estates along with the VIP guests attended the Neapolis Opening Ceremony Gala Dinner took place at Leptos Thalassa Boutique Hotel & Resort. Pantelis Leptos, Director of Leptos Group celebrates the success of the Leptos Kamares village, an International Award winning development in the Eastern Mediterranean. Mr. Pantelis Leptos, Director of Leptos Estates visiting the President of Cyprus, the late Tasos Papadopoulos at the Presidential Palace. 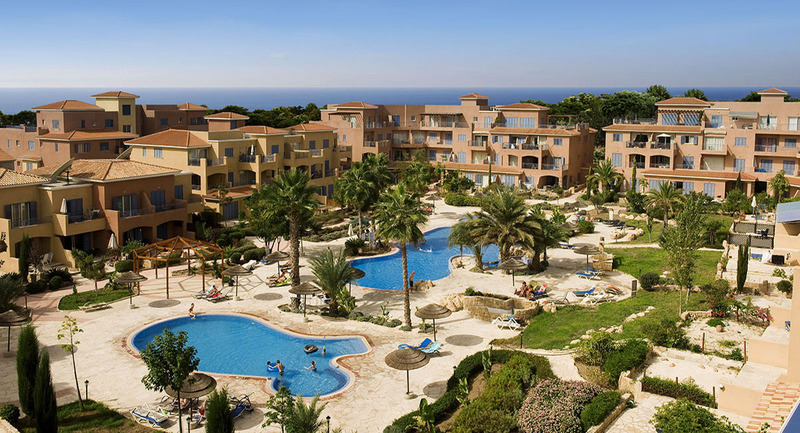 The annual general meeting of Leptos Calypso Hotels took place at the Coral Beach Hotel & Resort, in the presence of shareholders and representatives of local authorities. 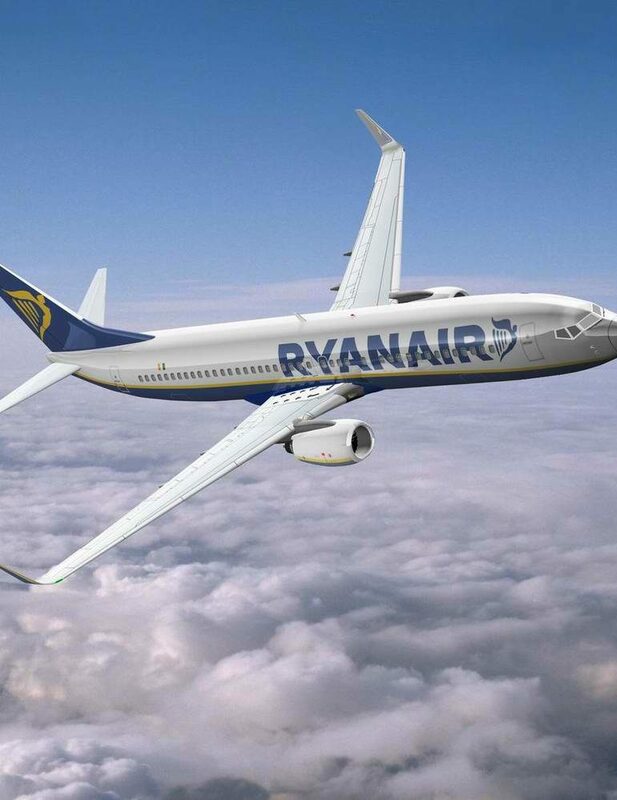 RYANAIR yesterday announced it would base two aircraft at Paphos, offering 80 flights a week to 14 new destinations as of April by investing nearly €110 million to bring in 600,000 passengers a year and provide 600 jobs. Locals and foreign visitors have the pleasure of enjoying their swim in the cleanest beaches of Europe and especially the ones of Paphos. This was proven recently through research that the European Union had carried out. Based on the evidence found through this research, Cyprus is at the top of the catalog of countries having the best waters, with Paphos being the top with a total of 29 beaches. Mr. Pantelis Leptos, warmly welcomes the British Swimming Team and as every year the British Swimming Team utilizes the Leptos Coral Beach Hotel Olympic Pool for training. Paphos was the first to be completed in November 2008 with the new facility covering 20,000 square meters and doubling the passenger handling capability to almost 3 million per year.